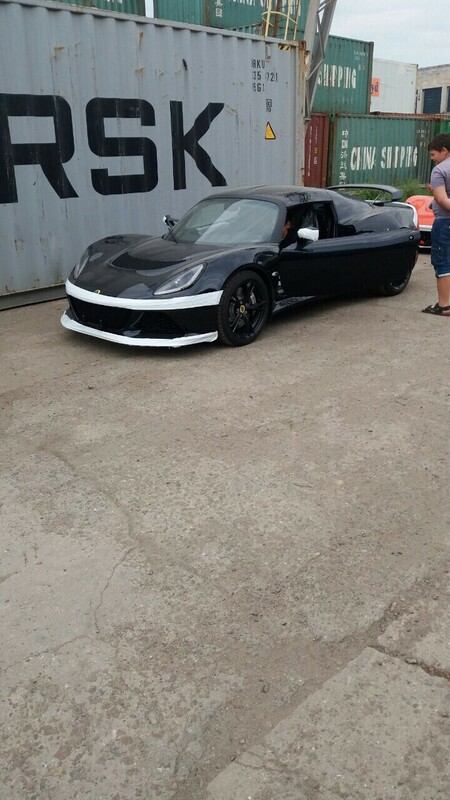 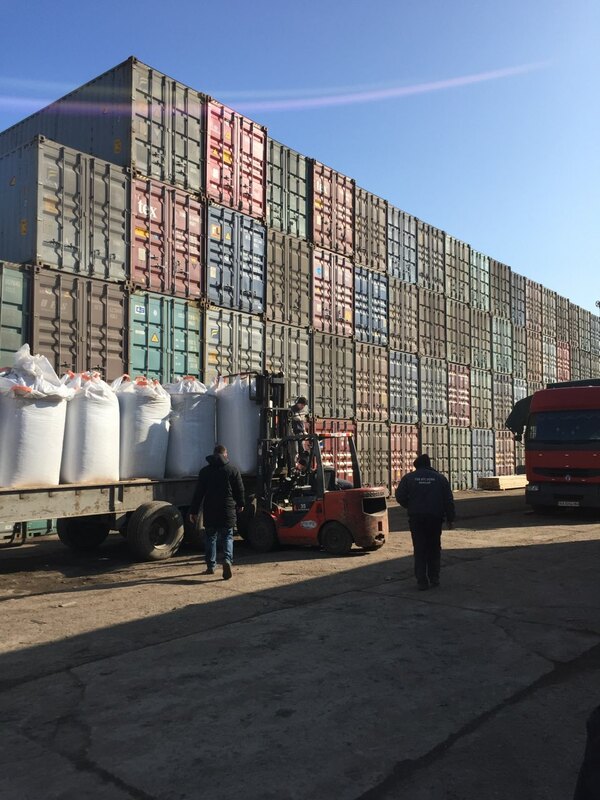 LTD «MCT SERVICE» - freight forwarding company , based in Odessa (Ukraine ) and is active in the transport market , offering a full range of services for the transportation and transshipment of container cargo through the Ukrainian ports , transport of goods by road and rail in the territory of the CIS and Europe . 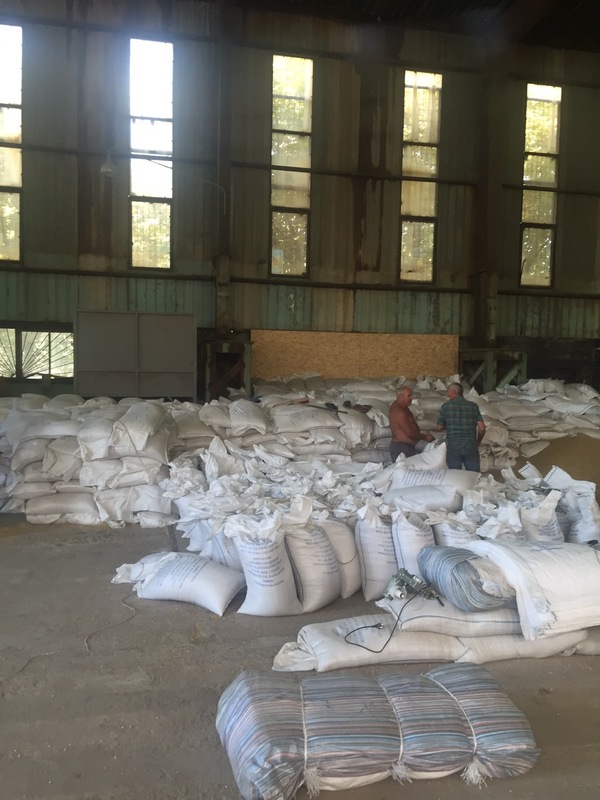 Company LTD «MCT SERVICE» at the professional level performs services for handling grain cargoes, both bulk and with packing in bags or big bags. 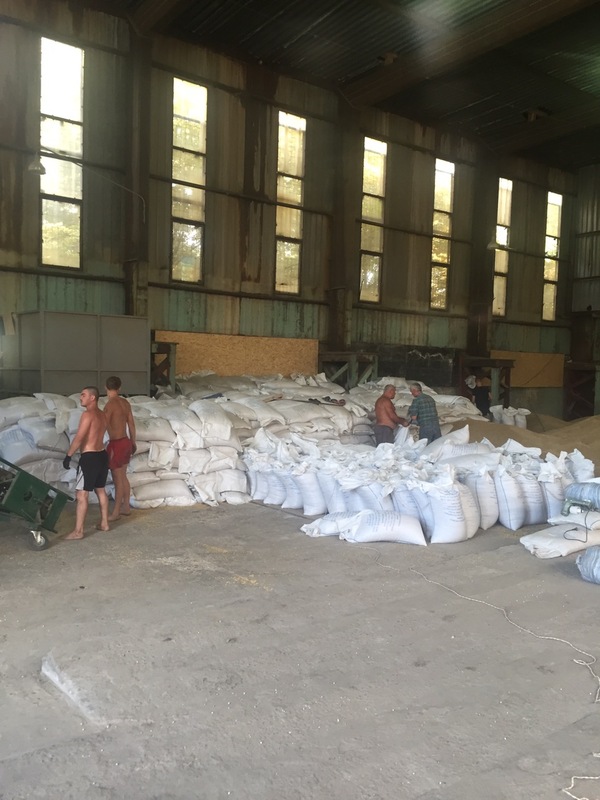 Trained personnel and the availability of specialized equipment allows to process monthly about 10 000 tons of various grain cargo on our terminals located in the city of Ilyichevsk and Odessa (p.Usatovo). 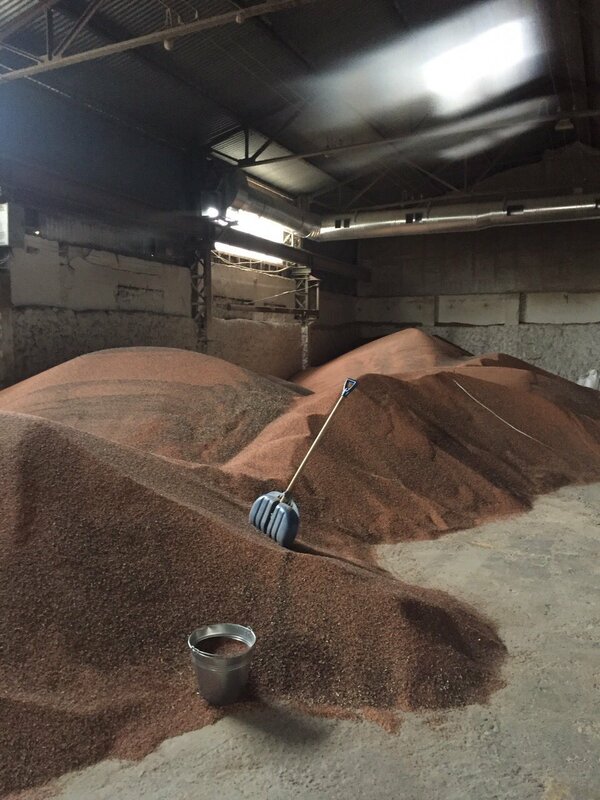 For our customers, we carry out a full range of grain handling, including customs clearance and freight forwarding, as well as partial work, including receiving and loading of cargo in a container and shipping them to the port. 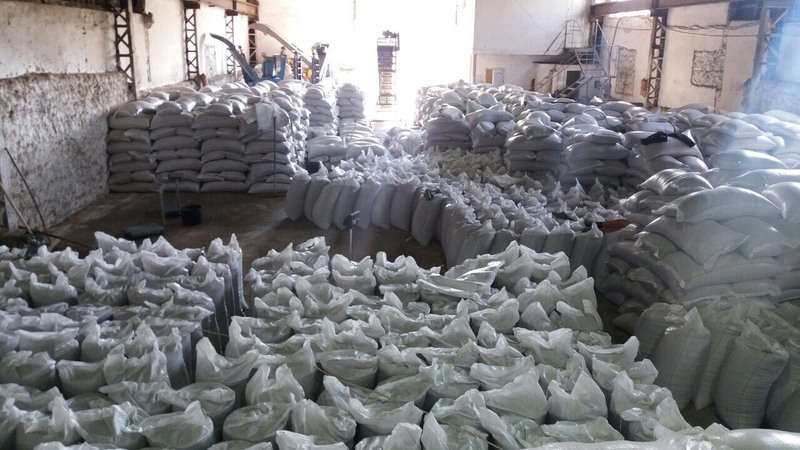 Our laboratory performs the following tests: - Humidity ; - Oil content ; - Analysis on the presence of impurities ; - Analysis on the presence of toxic elements and heavy metals ; - Analysis of pesticides ; - Test for FFA; - Microbiology ; - The presence of GMOs . 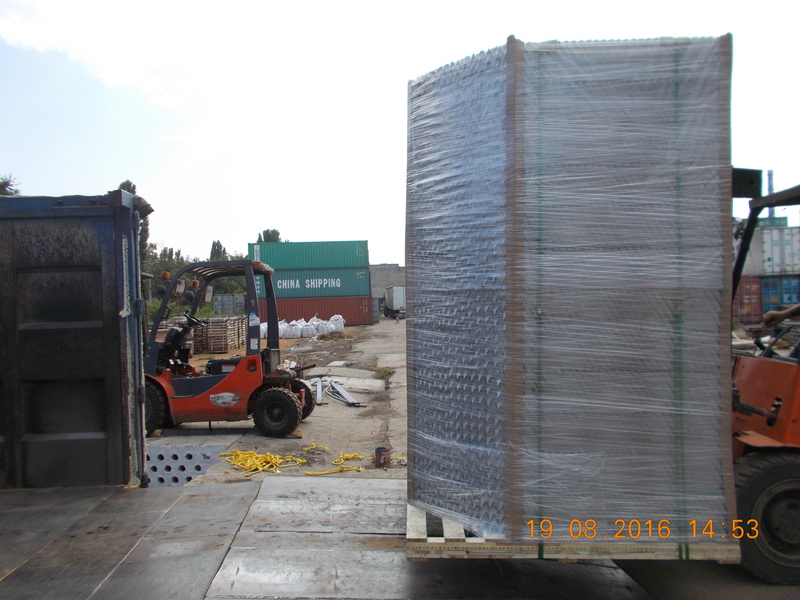 Sampling and laboratory tests carried out around the clock in our laboratory . 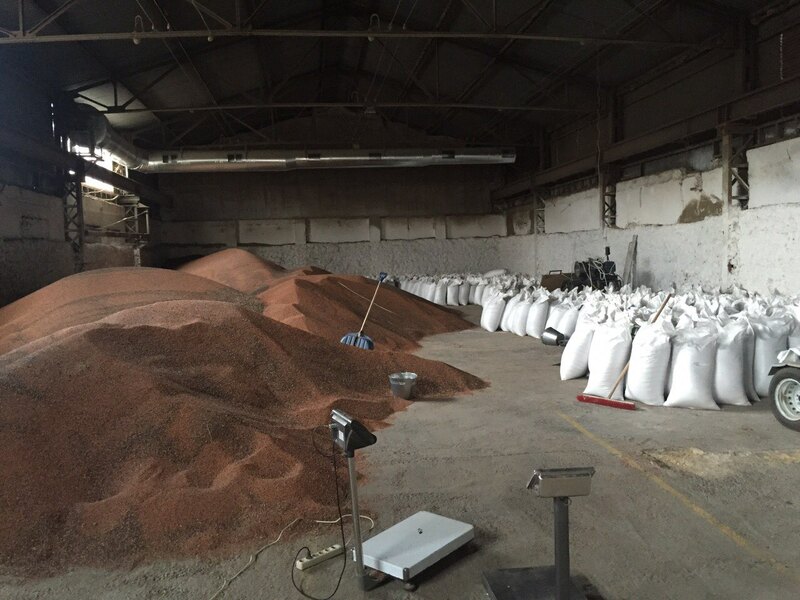 Complex services for transshipment of bulk cargo includes the following: - Reception and unloading of vehicles; - Fence cargo samples for analysis in a laboratory the state inspection; - Expert inspection of independent survey companies, such as "Bureau Veritas" and "SGS"; - Accumulation and storage of up to 10 000 tonnes of cargo in covered warehouses; - Transshipment of bulk grain cargoes; - Loading in the container; - Carrying out measures for fumigation of cargo with the publication fumigation certificate; - Burlap cargo ; - The reception and storage of up to 400 empty containers - Sediment laden containers ; - Loading laden containers; - Removal of loaded containers in the ports of Odessa Commercial Sea Port , SCPI , IMRP port and South ; - Weighing of cars and containers of any type ; - Monitoring and accounting of unloaded cargo and vehicles ; - Customs clearance of containers providing all documentation ( phytosanitary certificate , fumigation , quarantine certificate ( upon request ) , gas turbine engines; - Port forwarding ; We can arrange sea freight as needed ( rates negotiated with the client in advance ) ; - Provide freight rates to any port in the world. 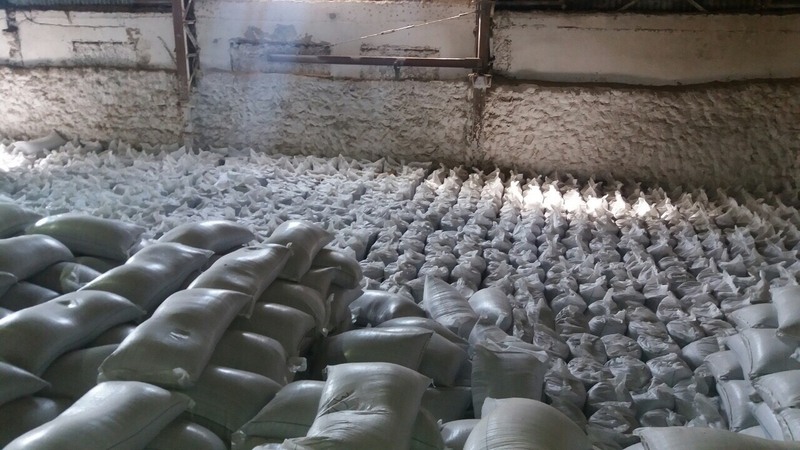 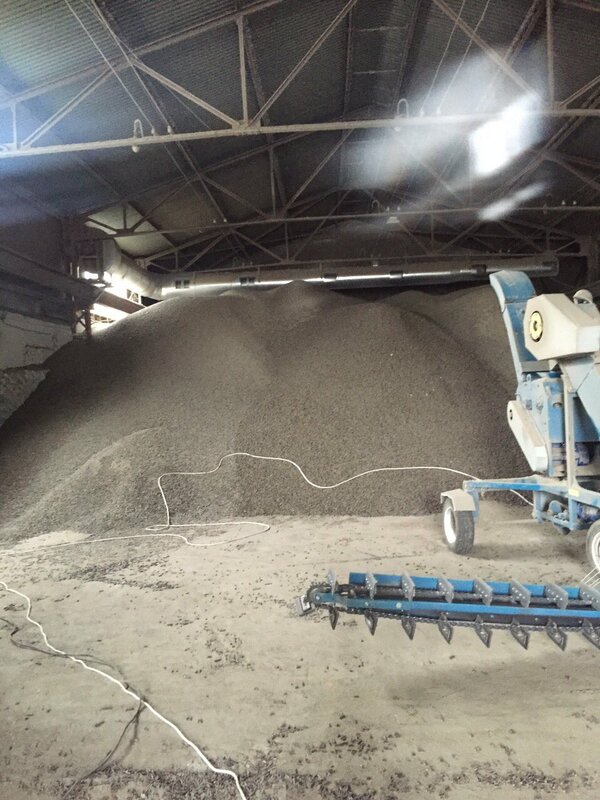 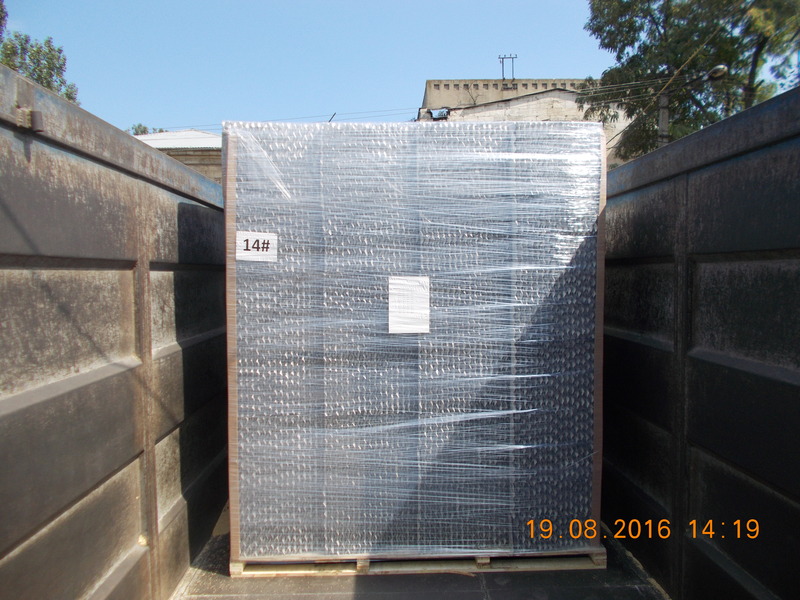 When exporting grain cargo company LTD «MCT SERVICE» to the end customer the special role played by the quality and type of cargo loading cargo , whether bulk or bagging . 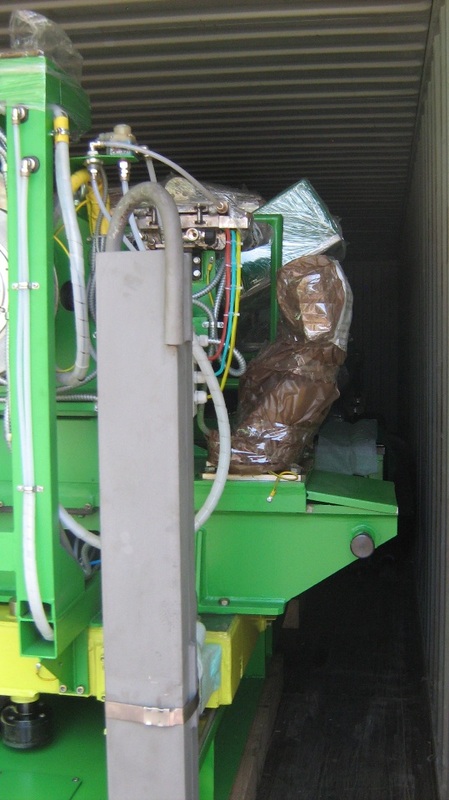 Taking this into account , our specialists the Specialty Equipment has been developed , allowing to carry out bagging grain cargoes of any type in a different package . 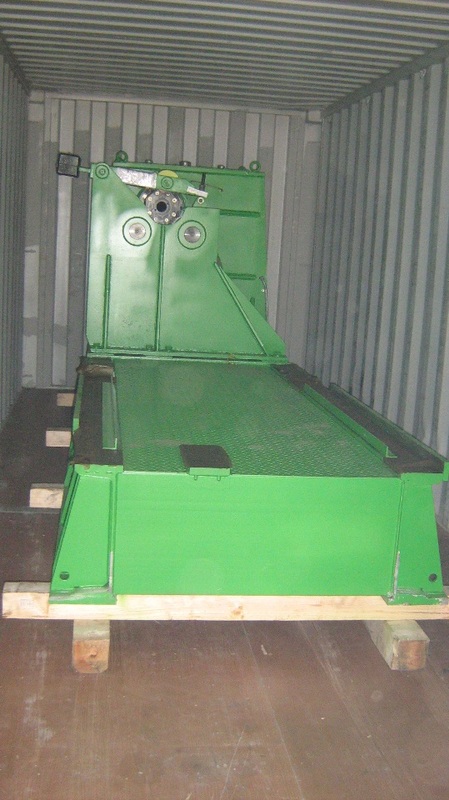 Specialized equipment is a line for reception of cargo loading in the bag , weighing . 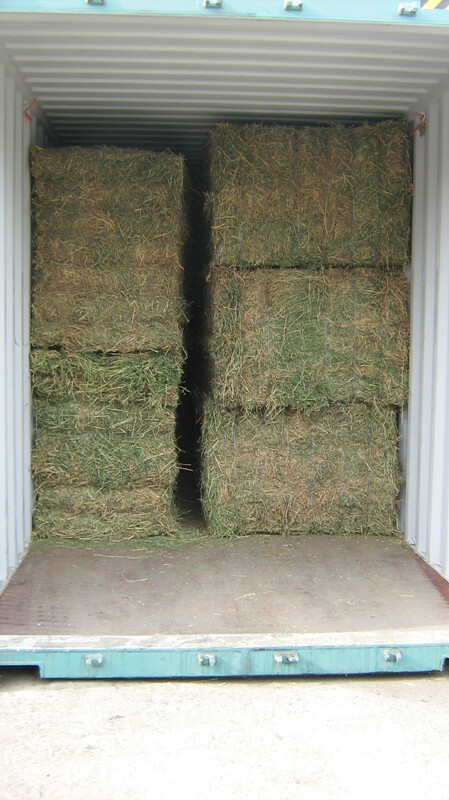 and sewing the loading of the container. 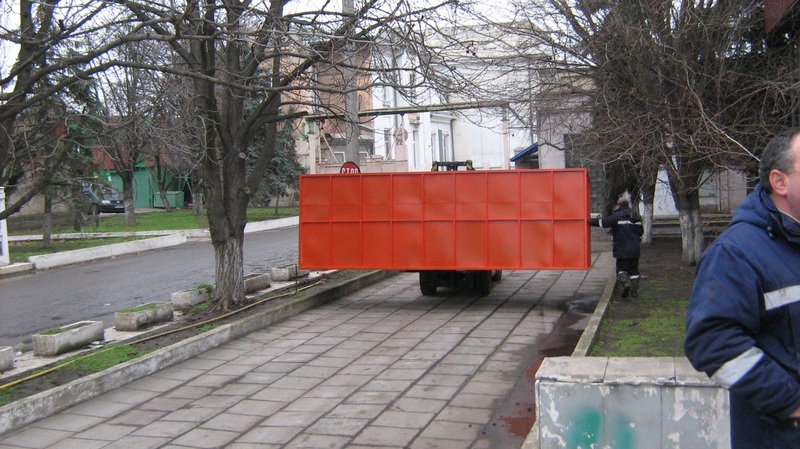 When working with a load that must be meshkovat, we work in the following way: • reception of the goods on our cereal terminal with the weighing; • laboratory analysis of the load on the main indicators or customer demand; • build a necessary party; • A set of bags with further loading of the container; • Installation of silica gel in the container (on demand); • fumigation of cargo; • removal of the port; • Port forwarding and customs clearance. 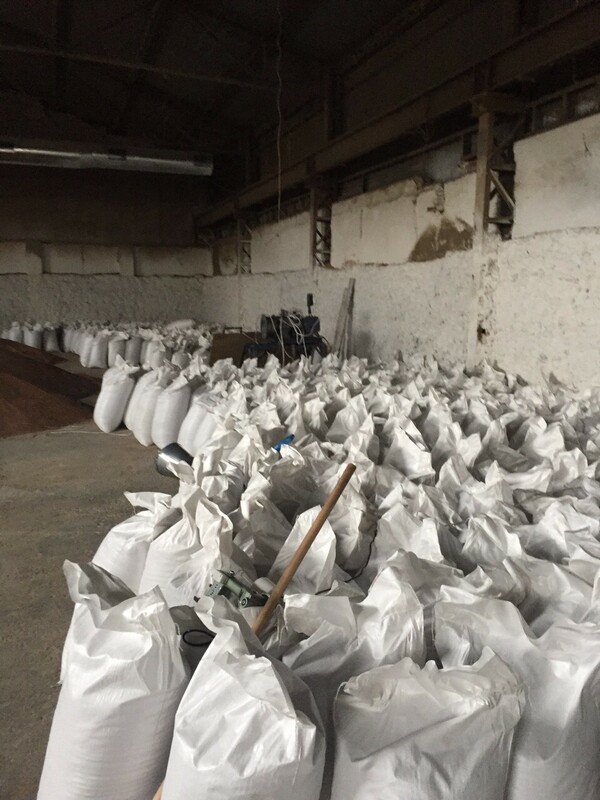 Before you begin to bagging goods, our experts will pick up properly all the necessary components , such as the density and type of bag / FIBC , the required amount of silica gel and corrugated cardboard , as well as take into account any additional requirements of the client . 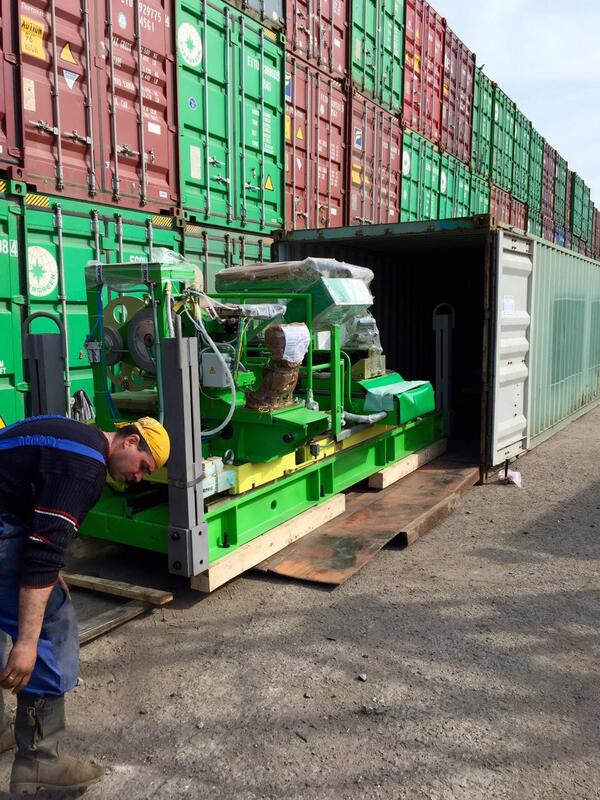 When loading the bags into a container for different types of crops , our experts use different schemes of loading and stowage in the container reaches its maximum capacity , so thus reducing customer costs per ton of cargo . 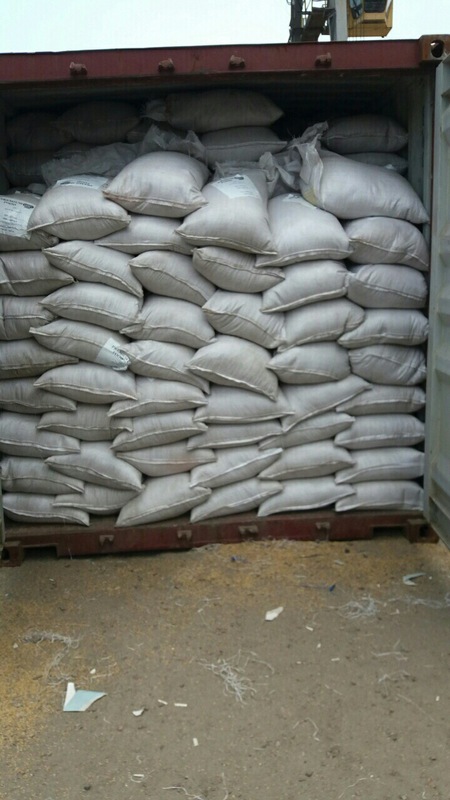 Every year , more and more cost-effective shipment of grain cargoes are small vessel shipments of up to 5000 tons. 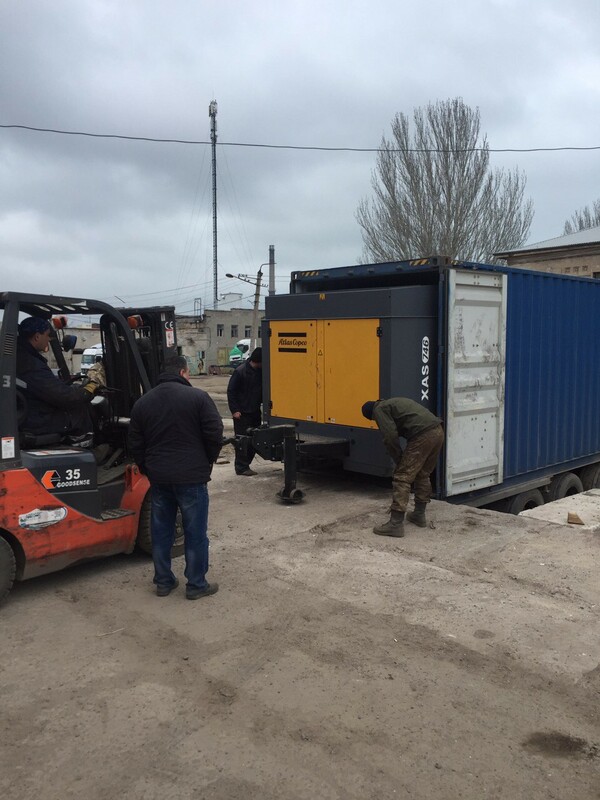 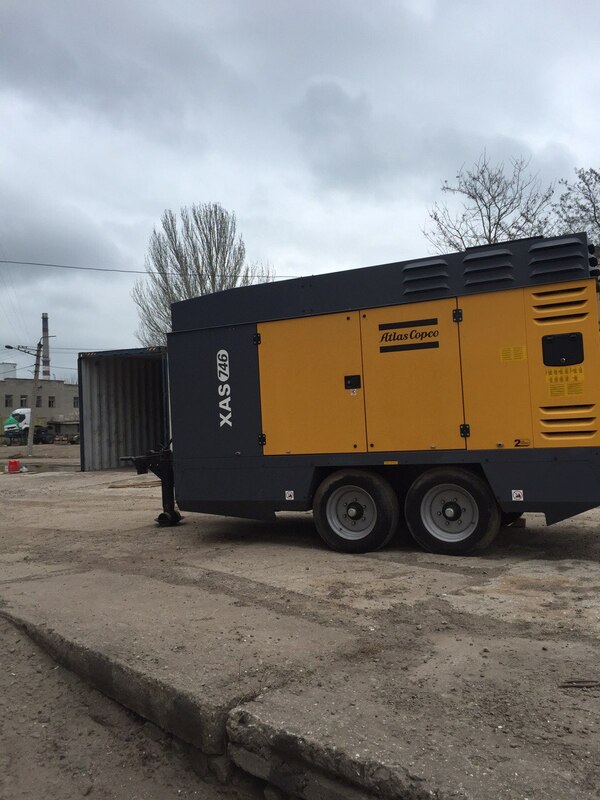 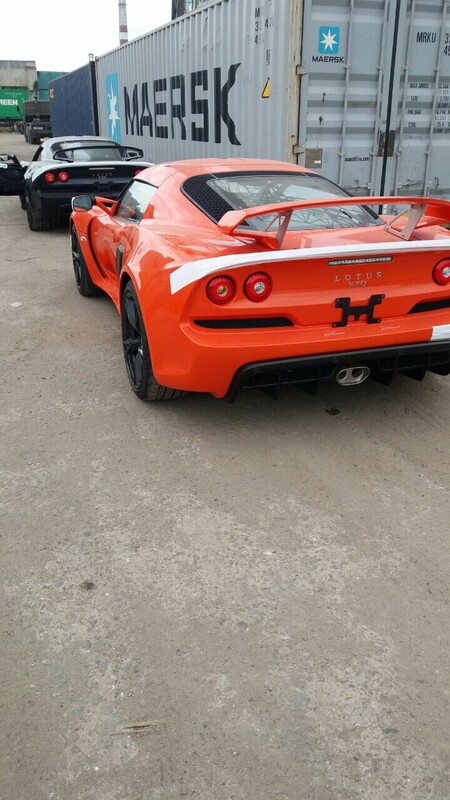 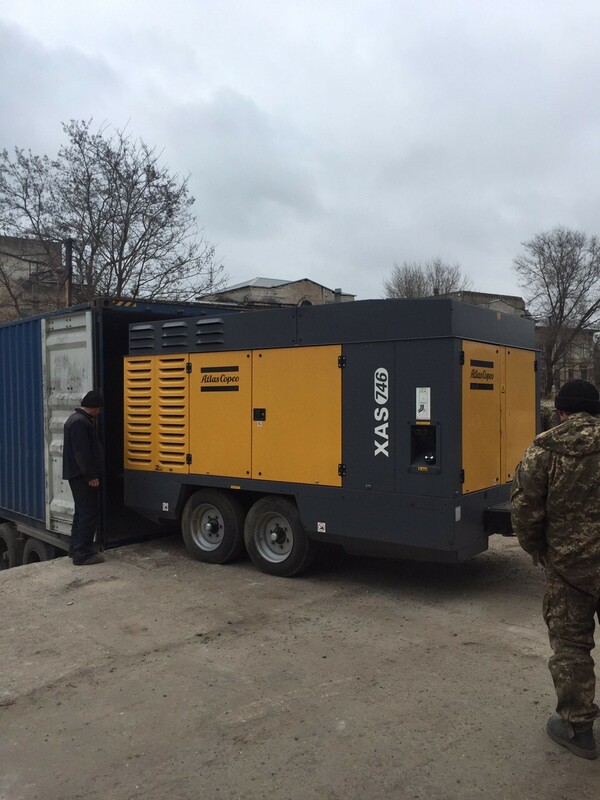 Our warehouse in the city of Ilyichevsk , equipped with all necessary special equipment allows you to perform a complete cycle of works , from the accumulation of cargo required parties prior to loading on the ship . 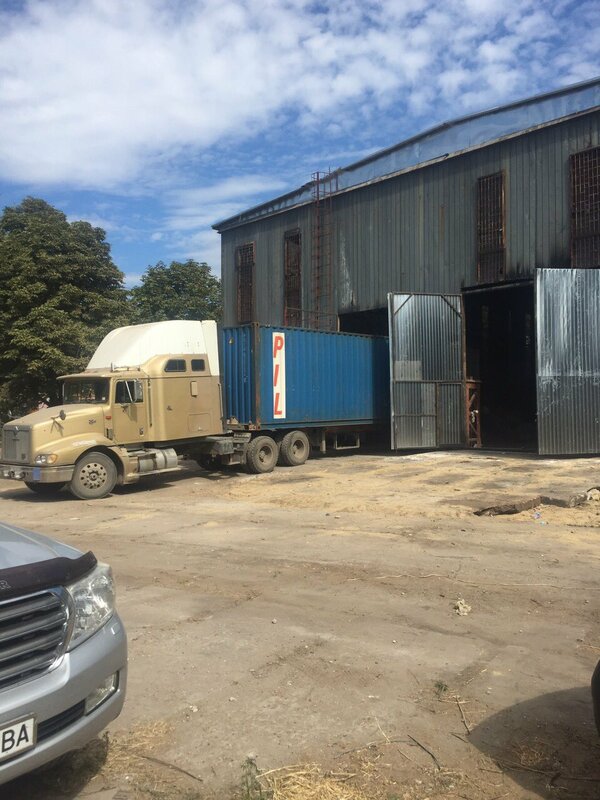 For companies that ship grain ship parties, we shall count the most cost-effective options for entry into the ship , will help with the choice for the transport vessel. 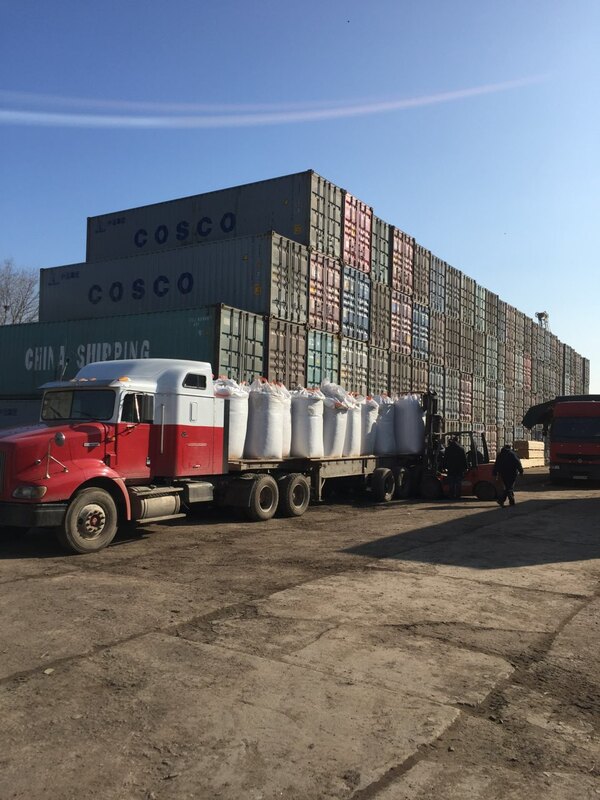 When sending grain cargo vessel shipments , our company uses a patented multi-ton soft containers ( big bags ) , which have a major advantage to minimize transport costs for the carriage of grain cargoes . 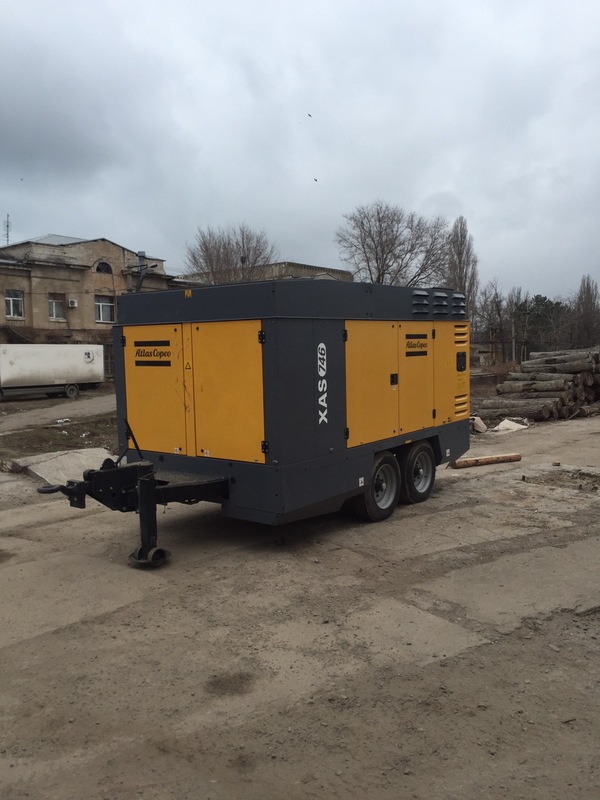 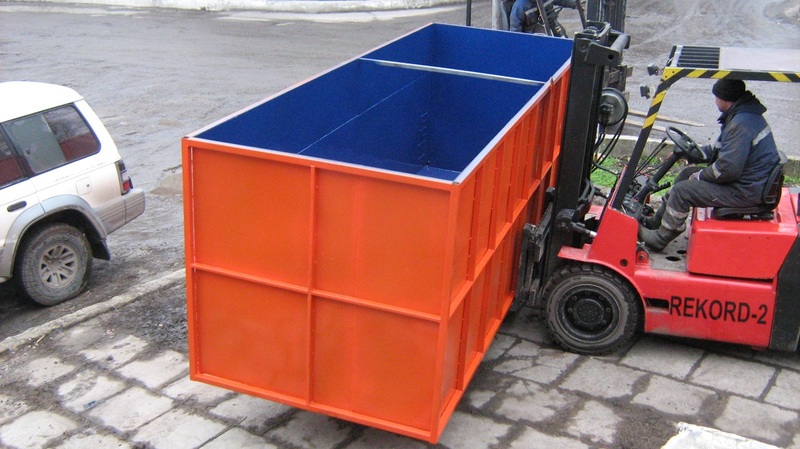 Their load capacity is up to 14 m, useful volume 12 - 13 m3 (depending on the nature of the goods ) . 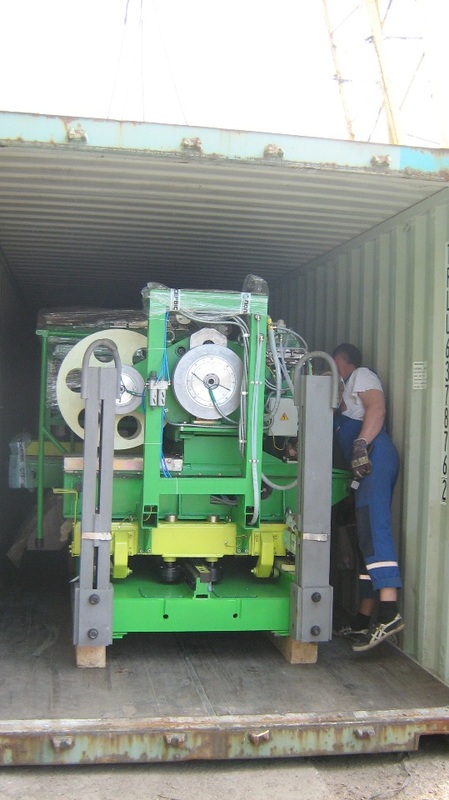 Multi containers MK- 14-10 - a unique, patented technology designed for transportation, temporary storage , transshipment of various bulk cargoes (including hazardous ) . 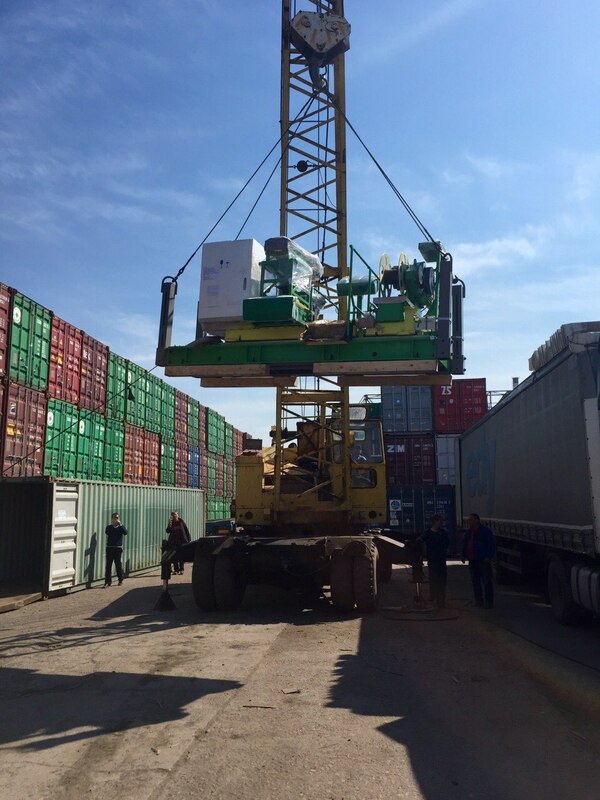 When exporting goods to foreign countries , it is the most highly container shipping , while remaining the most inexpensive mode of transportation. 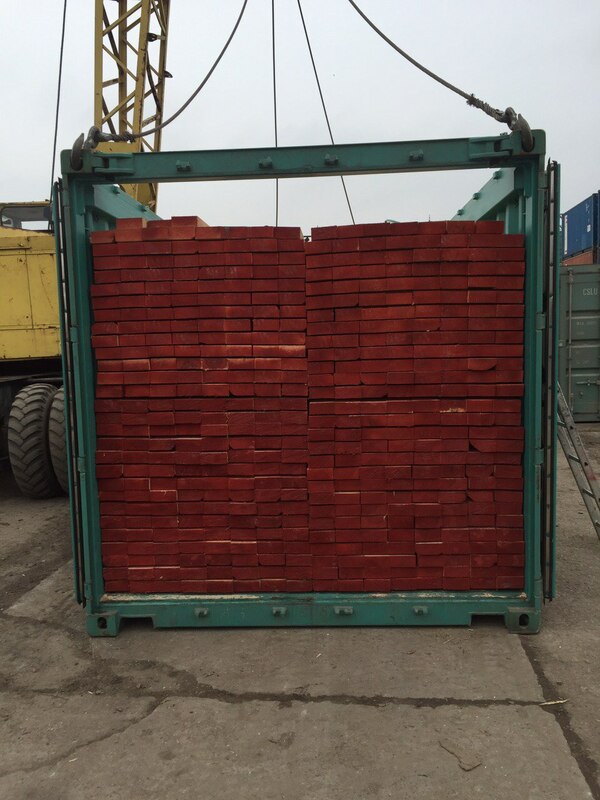 On Statistics of international transport companies , about 80% of world trade is carried by sea freight , as well as being the most secure way view transportation. 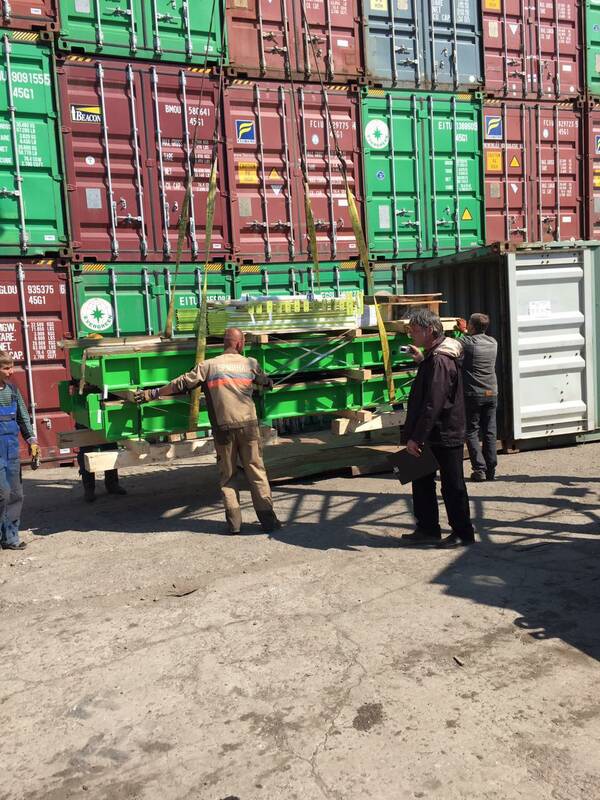 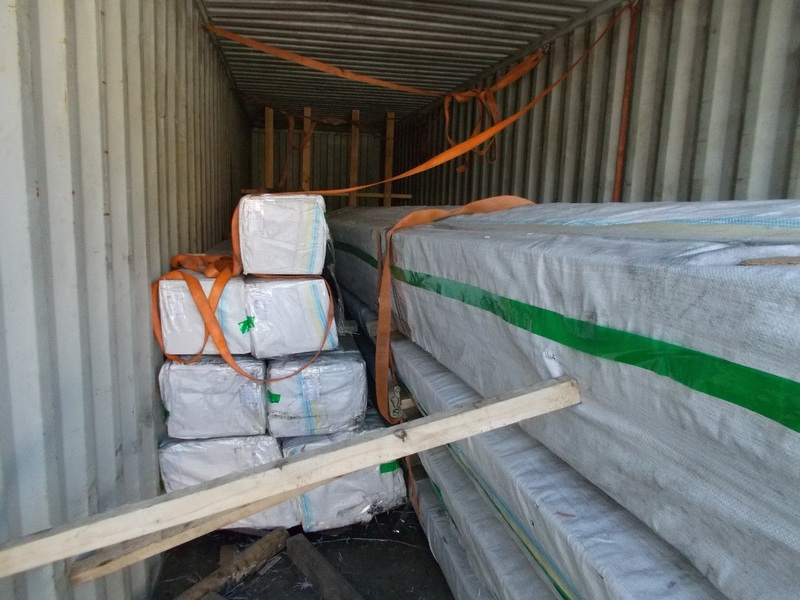 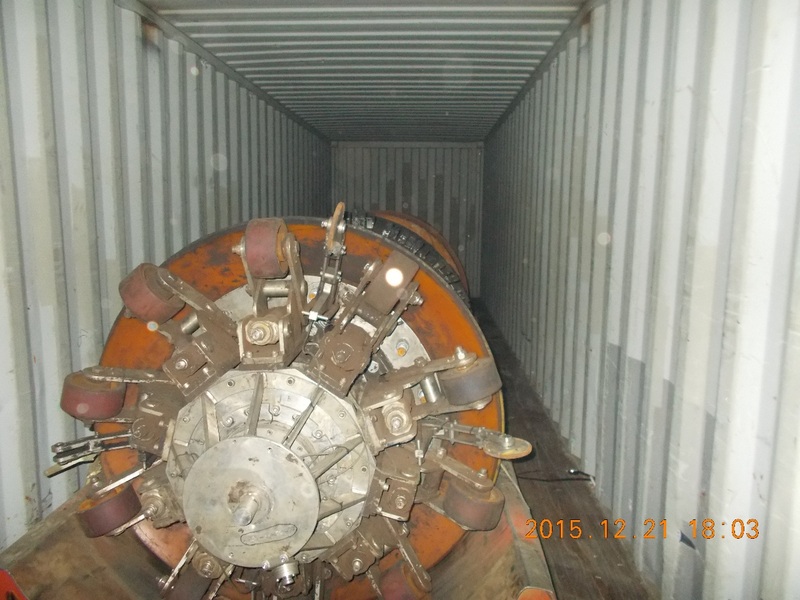 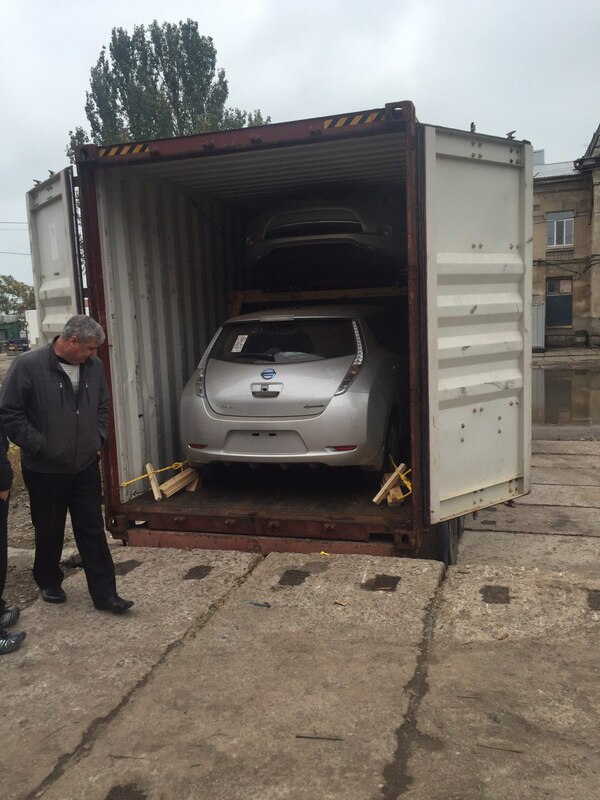 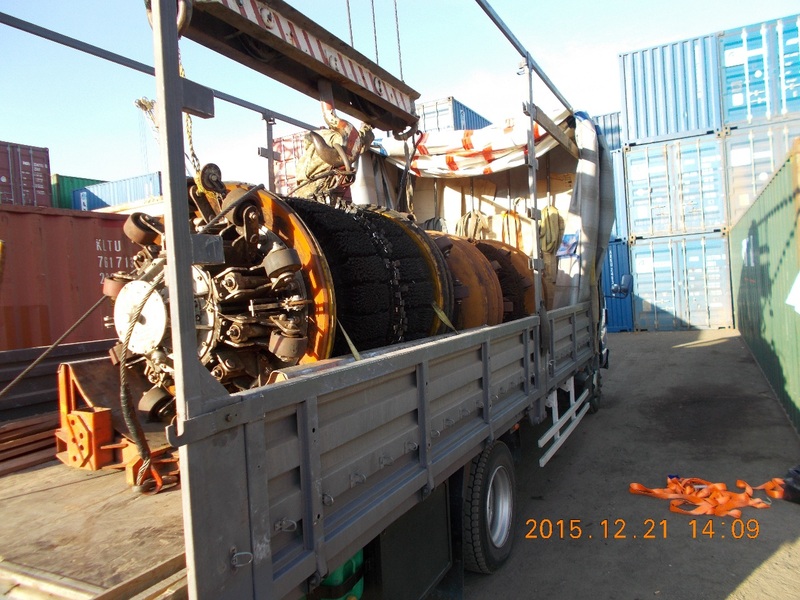 Today , the company LTD «MCT SERVICE» provides chartering these types of sea containers :. 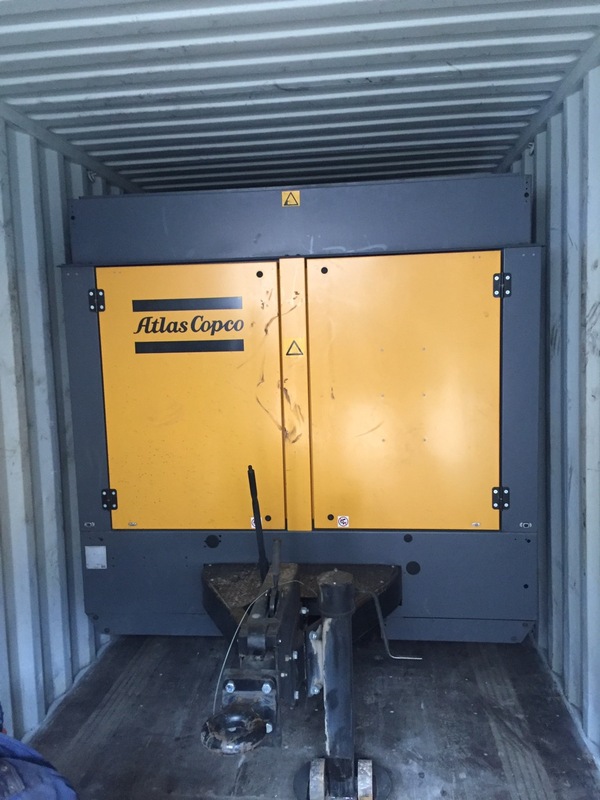 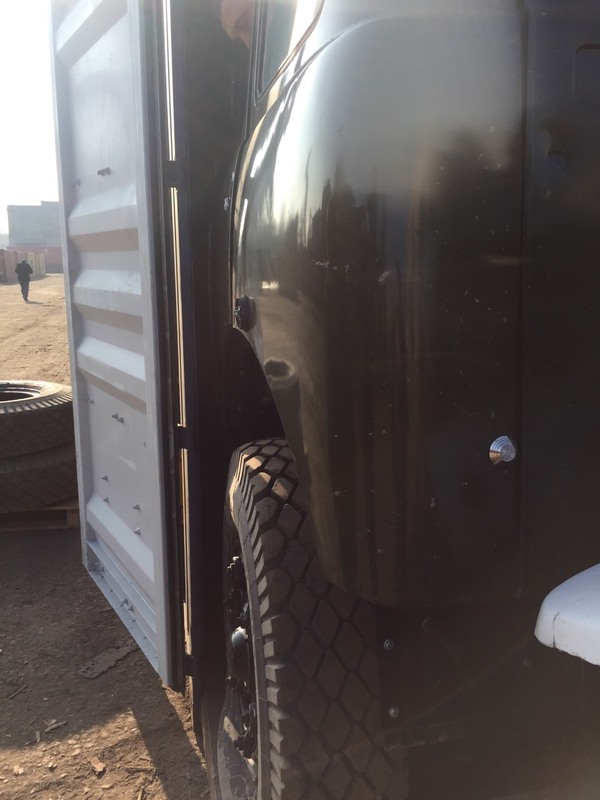 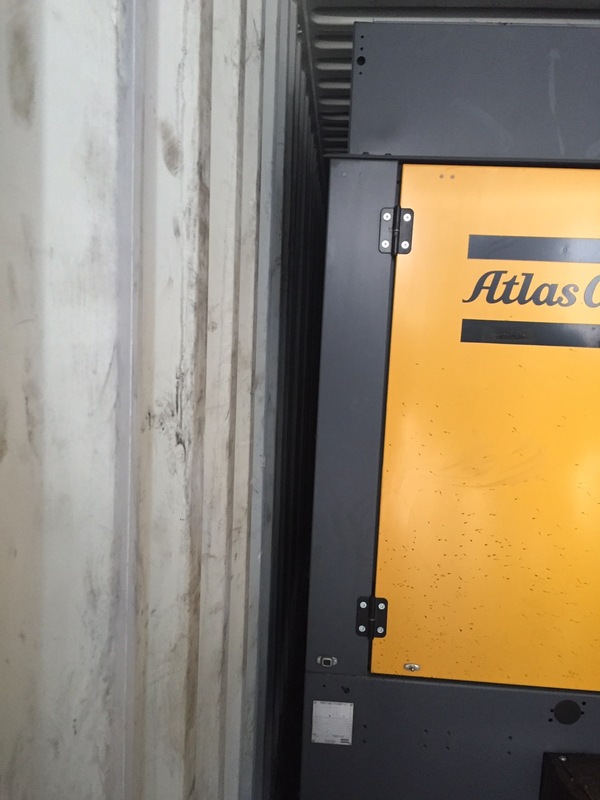 High Cube 40 " , 40 " , 20 " , depending on what your type of cargo and distance following the port , our specialists will find you the most high-performance and cost-effective type of container . 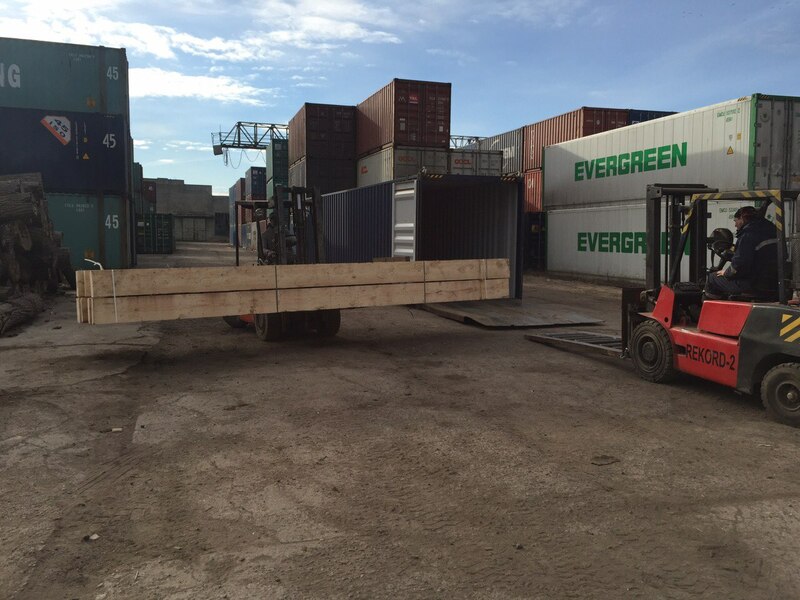 By working directly with the container line , our company provides a high level of service that helps you respond quickly to customer needs and quickly provide an empty container for further shipment . 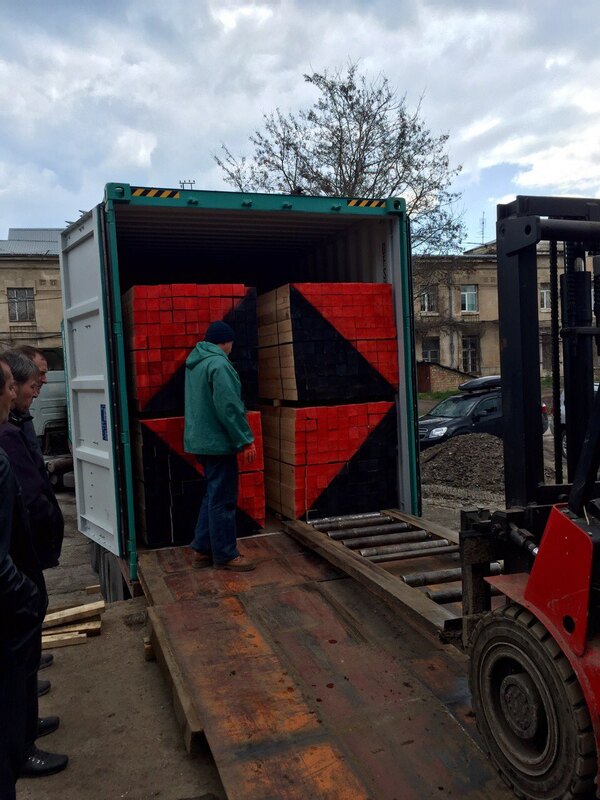 Our experts will find you the best shipping lines coming into your port of destination , will give you a list of sudovyhodov and get the lowest rates for freight . 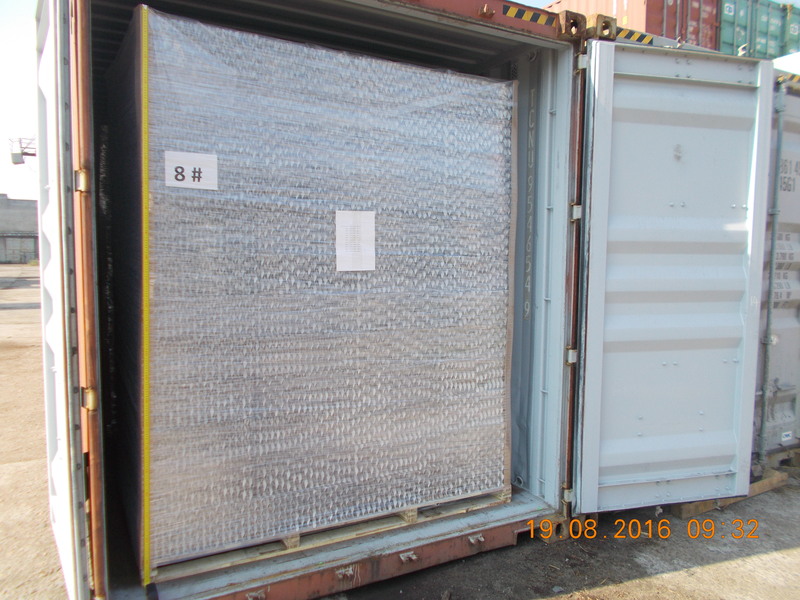 Our main objective is to provide comprehensive services for the handling of your goods from point A to point B , so we give the lowest price of sea freight . 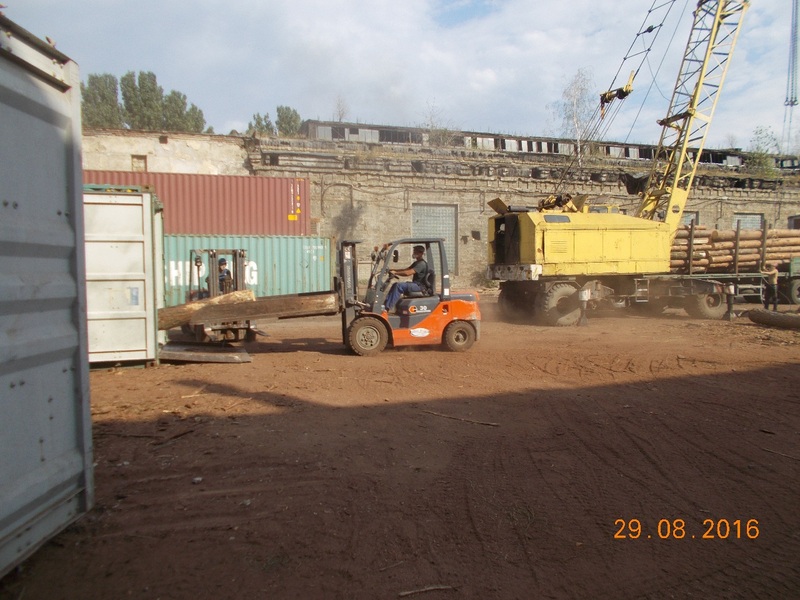 Working with our company , you get the following set of chartering : - Applying for chartering in container lines ; - Obtain the best prices for freight ; - Container for loading ; - Receiving containers for loading on their transshipment complexes ; - Rejection of the containers to the individual needs of the client ; - The accumulation of empty containers by the required date sudovyhoda ; - The continued availability of empty containers ; The company LTD «MCT SERVICE» cooperates with the following shipping lines : MSC, MAERSK, CMA, COSCO, ZIM, CHINA SHIPING, YANG MING, PIL, EVERGREEN, ARKAS, OOCL. 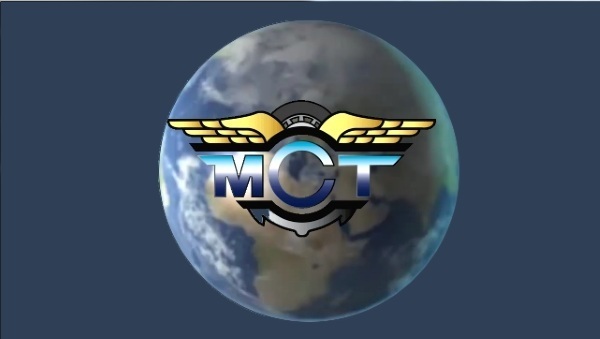 When performing a full range of services for the processing of export goods, the company LTD «MCT SERVICE» focuses on intra-port forwarding , and is suitable for carefully documenting issues . 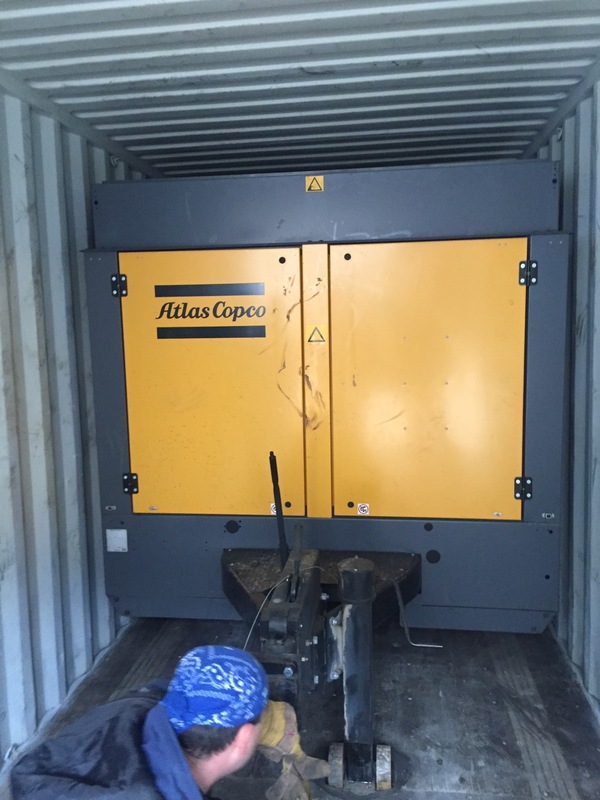 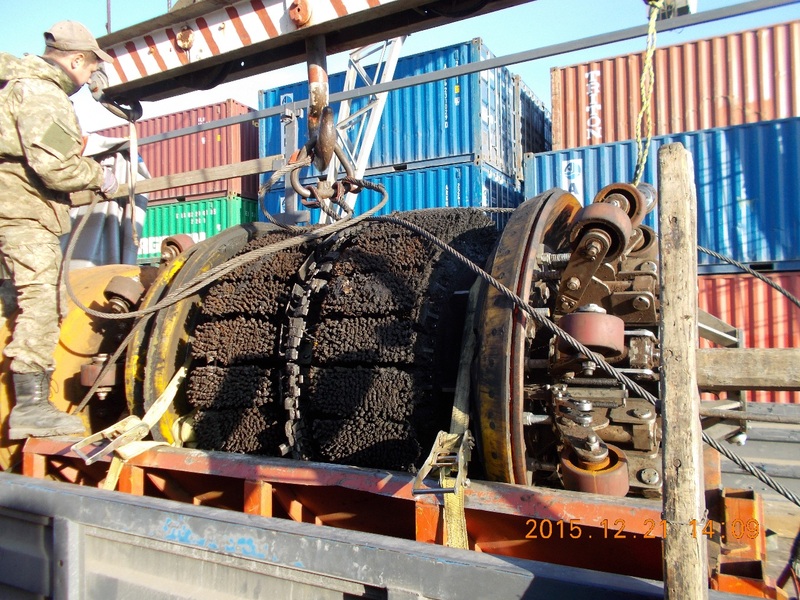 Turning to our company , you will gain a reliable partner who will provide you with high-speed processing load on your documents will incur minimal costs of intra- service and storage, as well as reduce the likelihood of downtime of your cargo in the port . 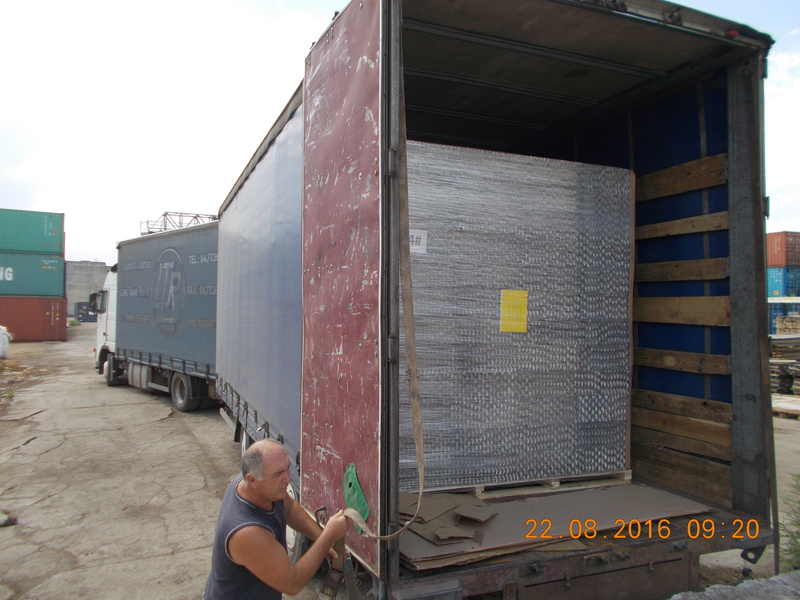 At any stage of processing , our specialists at any time provide you with detailed information on the status of your shipment at the port . 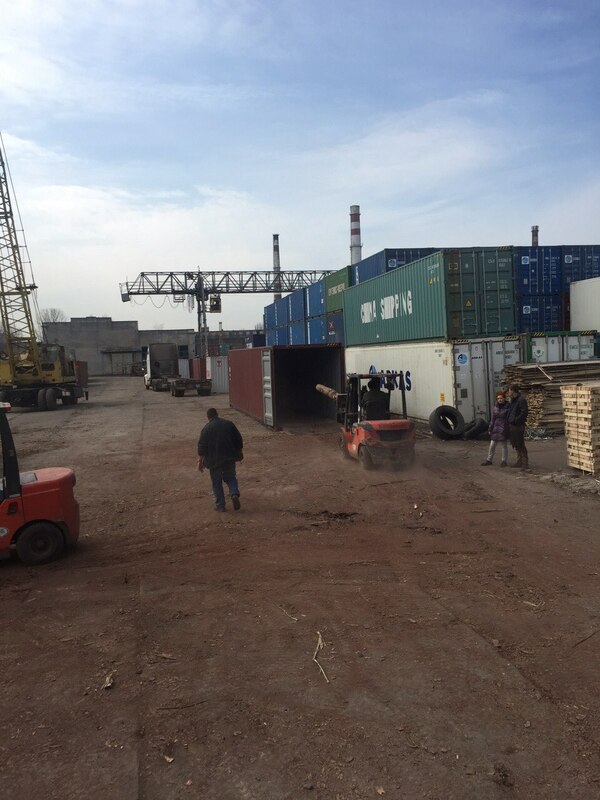 Employees of the company LTD «MCT SERVICE» will answer your questions on the intra-port forwarding . 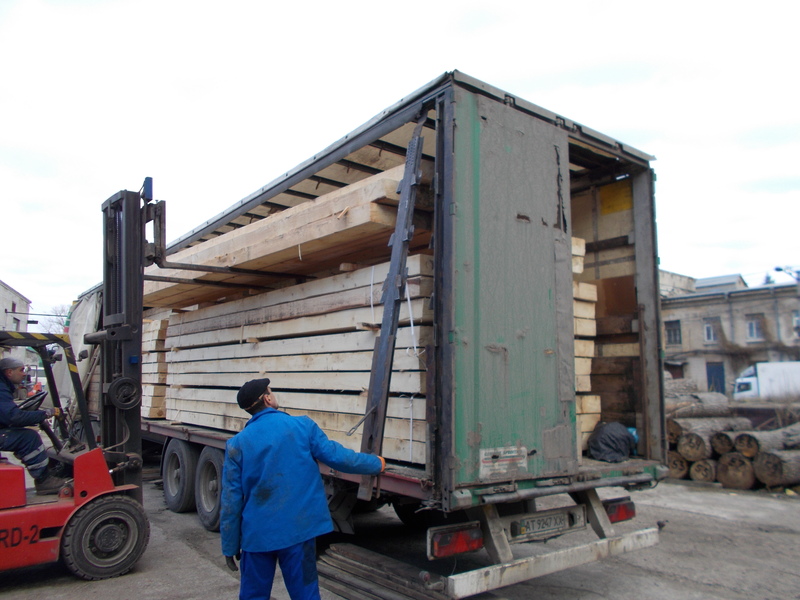 Company LTD «MCT SERVICE» perdostovlyaet processing services sawn timber transport antiseptic water-based with a wide range of biological activity. 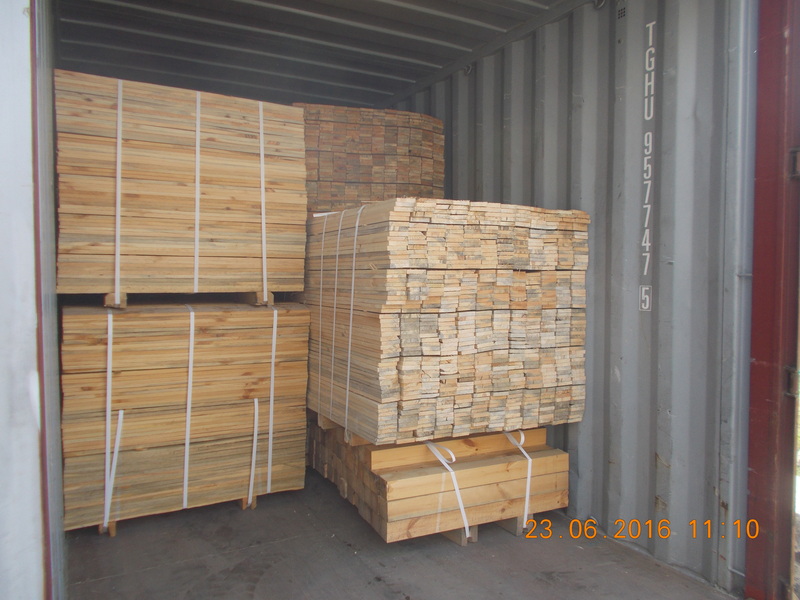 The drug is intended for the protection of various species of lumber natural moisture or humidity above transport for up to 8 months. 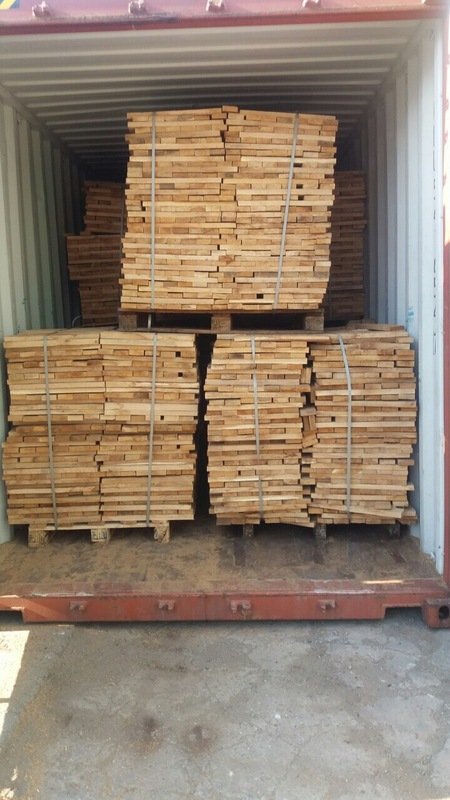 It protects the wood from the effects of mold, of wood, wood-fungi (blue stain), insects, algae at atmospheric drying, storage and transport in open or closed wagons, containers, decks and holds of ships and other modes of transport. 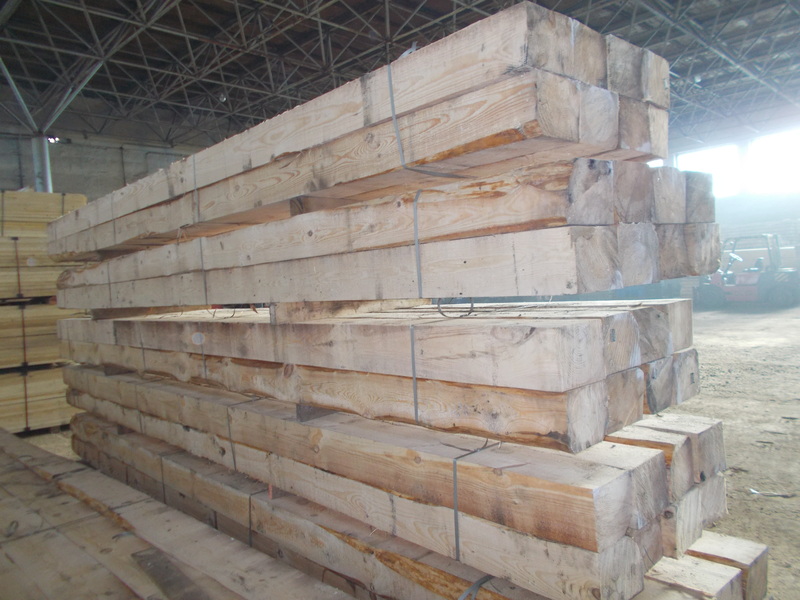 lumber processing antiseptic does not change the natural color, smell and other physical properties of wood. 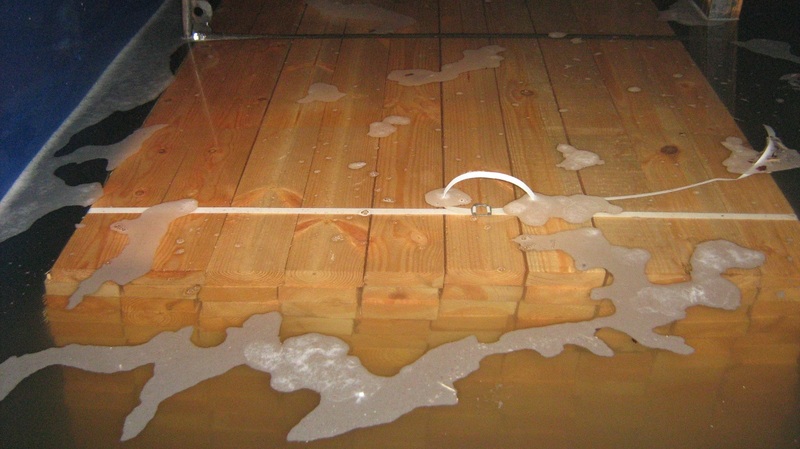 antiseptic treatment does not prevent further processing, gluing and coloring wood. 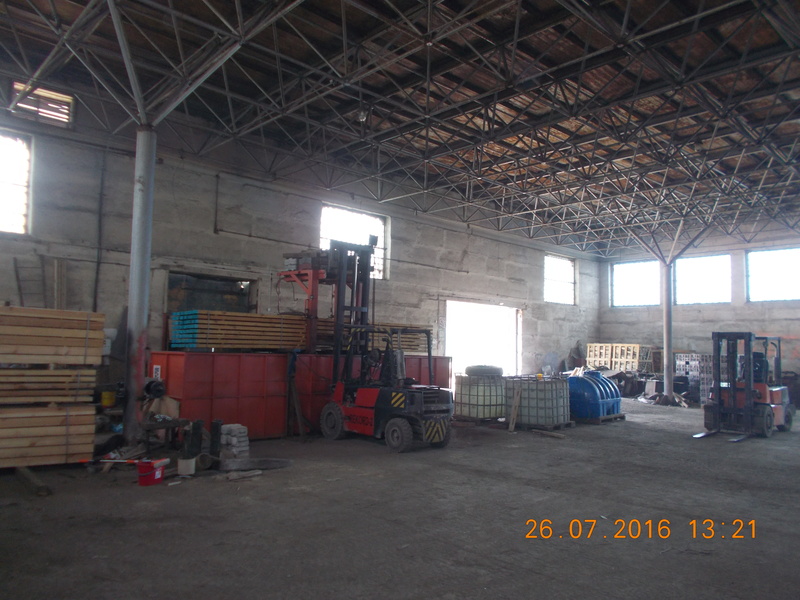 It has no toxic effect with respect to the staff. 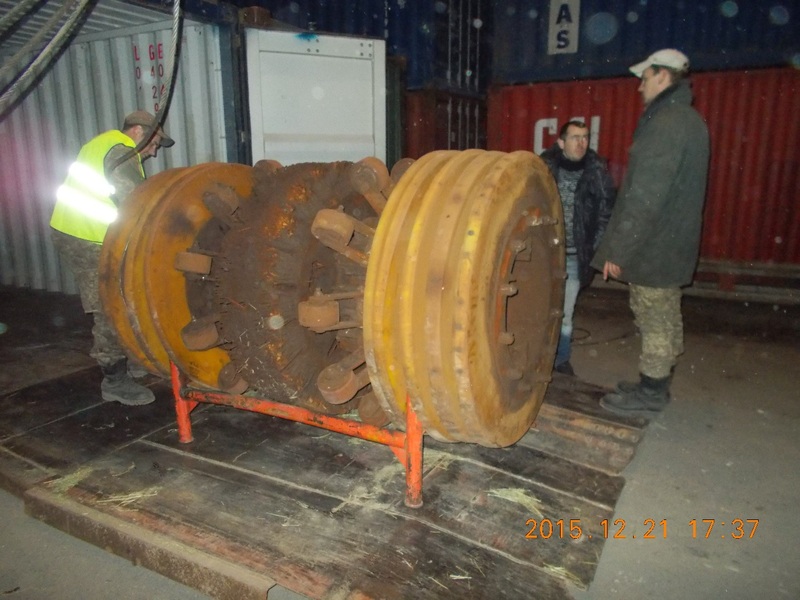 Fully destrukturiziruetsya and decomposes at expiration. 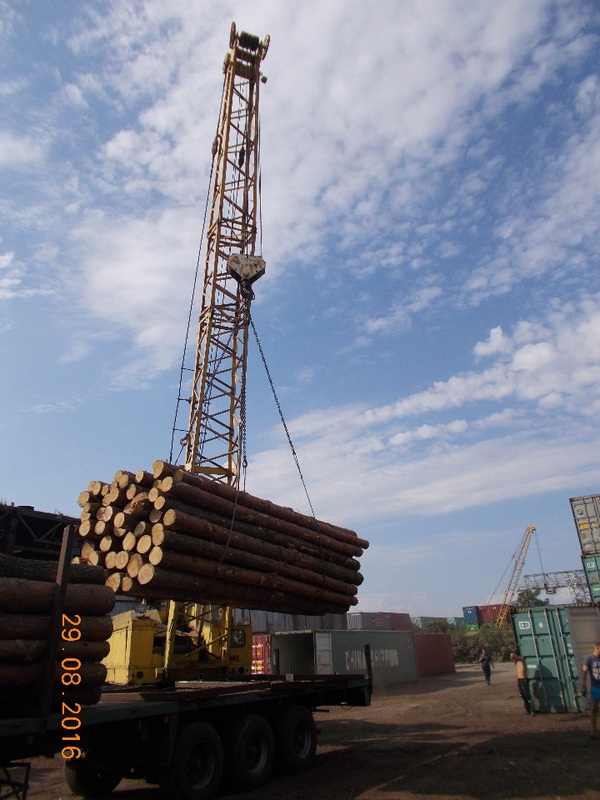 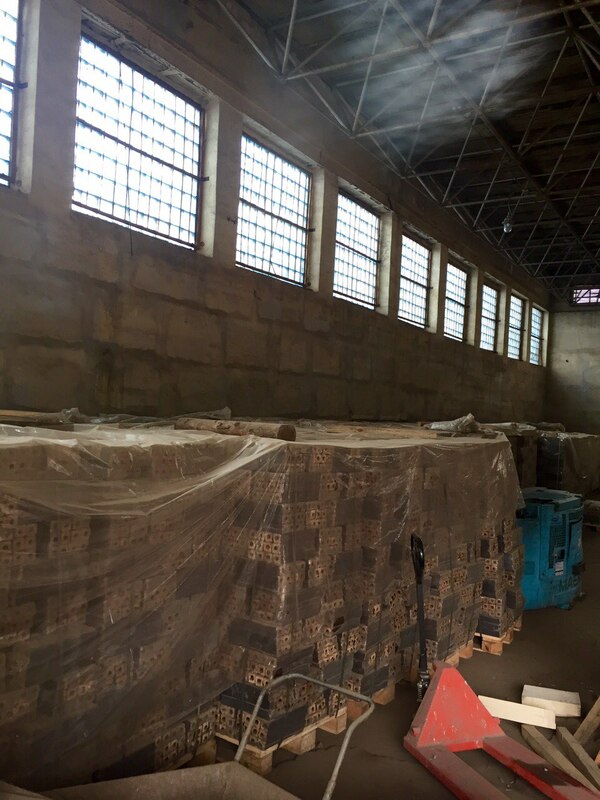 Company LTD «MCT SERVICE» also provides services for lumber storage. 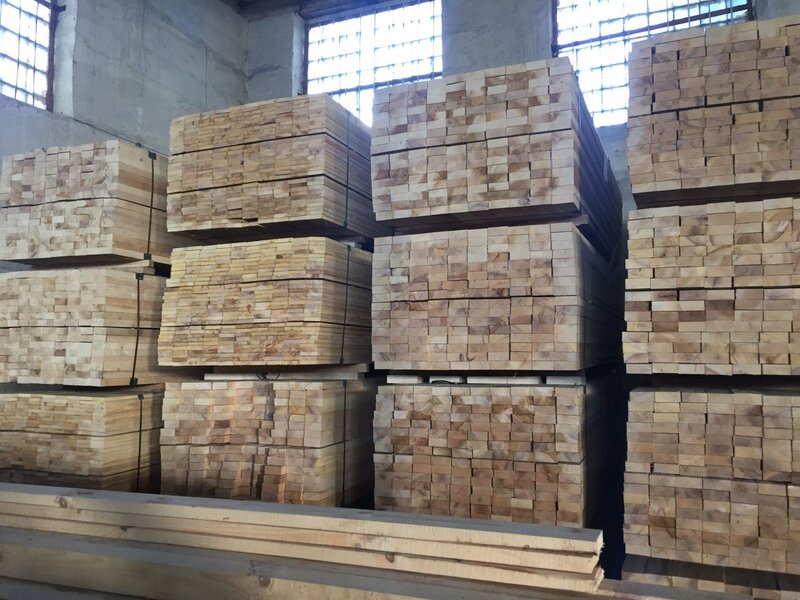 We are very carefully approached the issue of lumber storage services, our specialists have thoroughly studied the issue of storage, storage technology and the possible difficulties that may arise during storage of lumber. 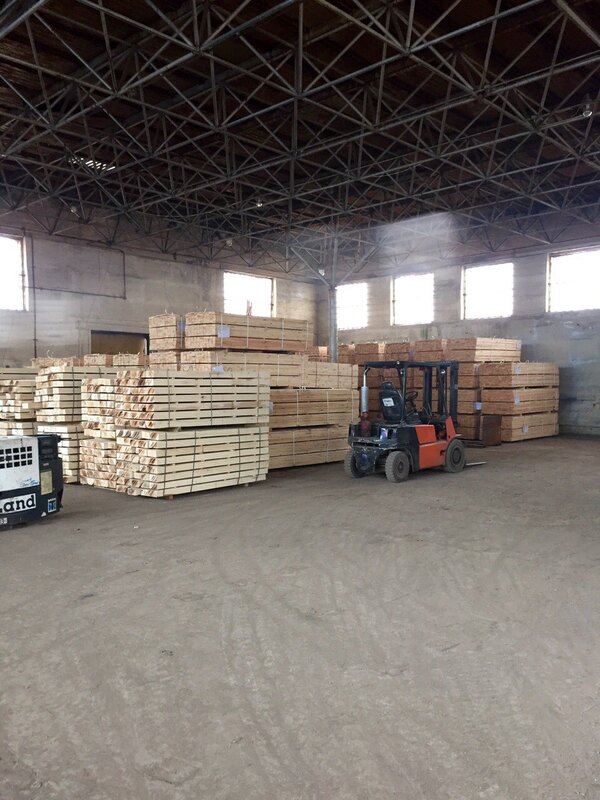 Company OOO «MCIT SERVICE" is no exaggeration to say that we are experts in the storage and handling of sawn timber and provide high quality service! 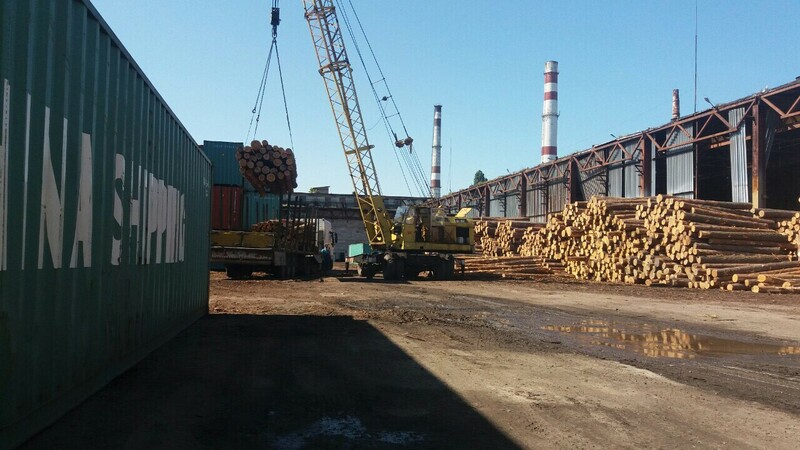 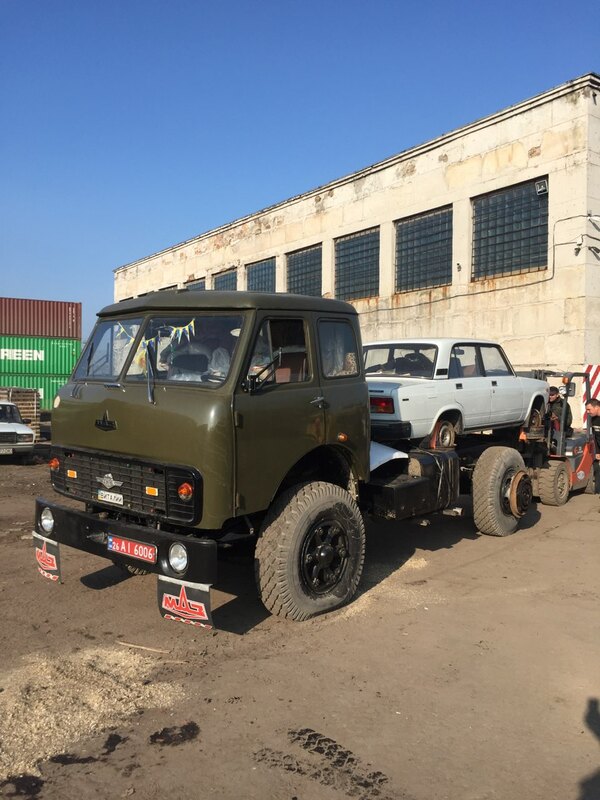 Company LTD «MCT SERVICE» wants to share his experience and enter a little you in the course of loading lumber. 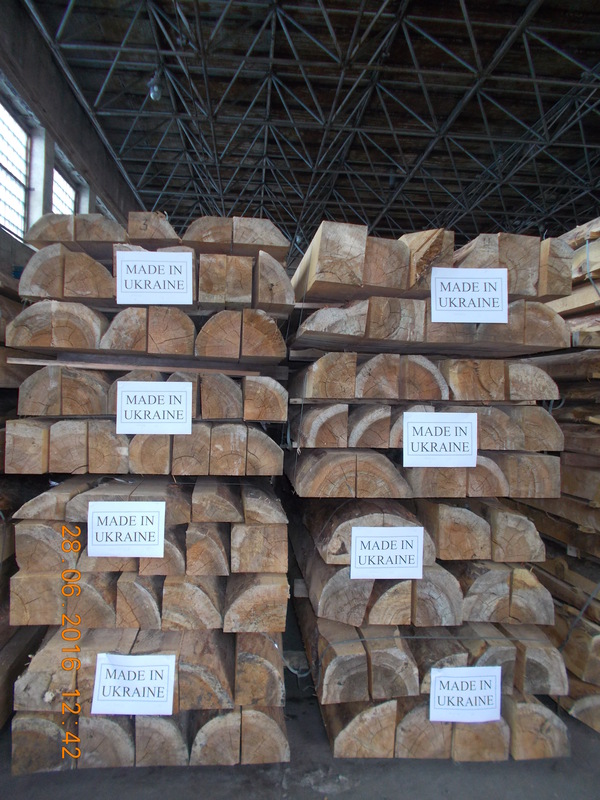 Used forklift trucks lumber can be produced using ordinary and elongated forks. 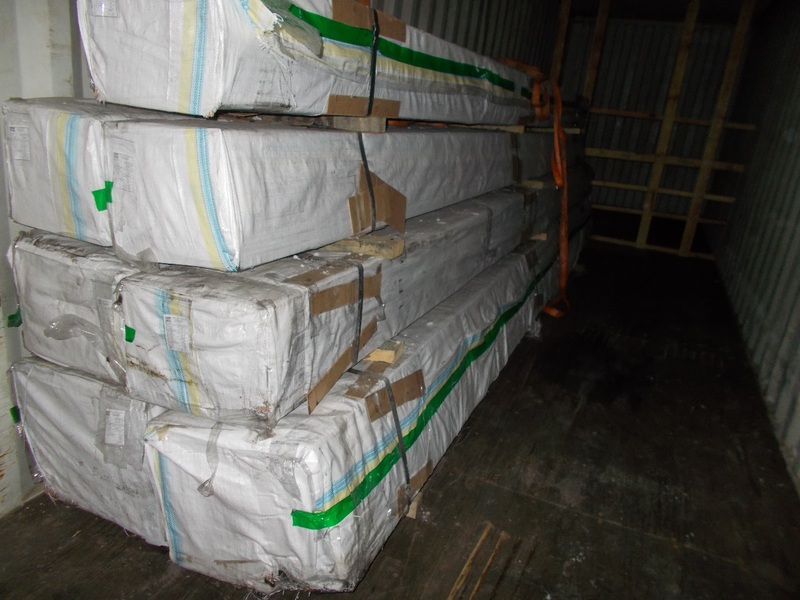 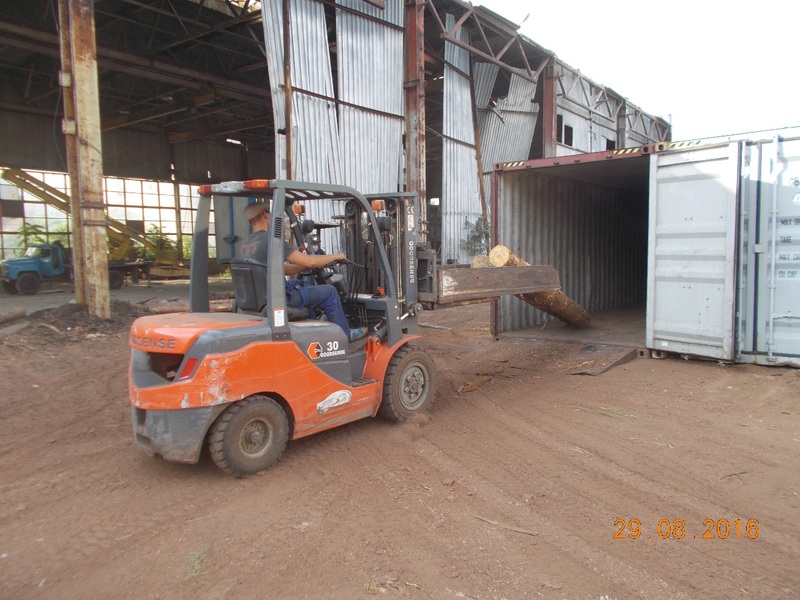 When using forklift trucks with ordinary fork to pick up lumber in stock pre-stacked in bags, which are then loaded onto the railway platform. 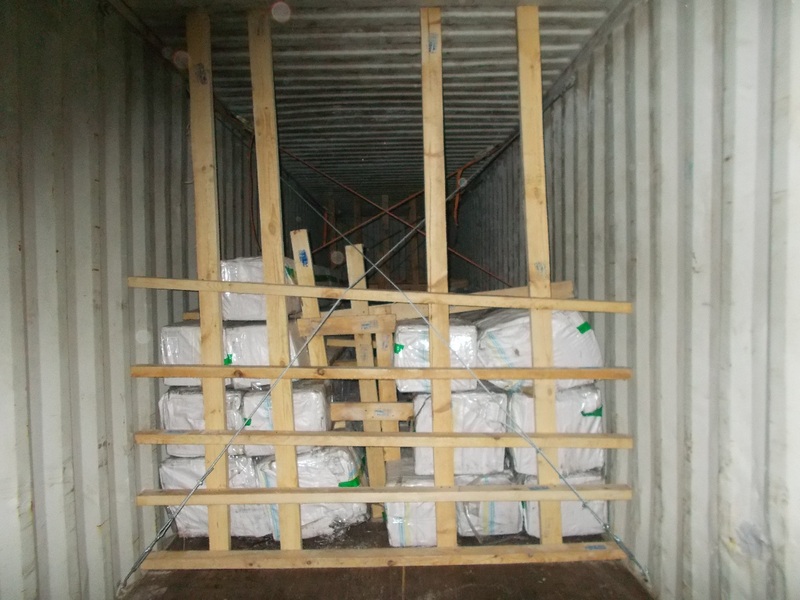 The packages are separated by spacers. 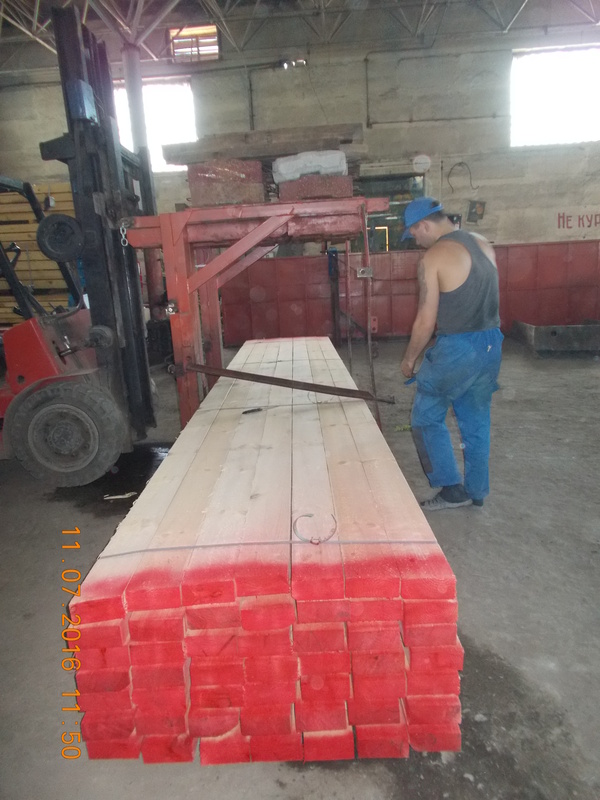 Loading lumber by hand from the end of the platform should be made to set the posts on both sides. 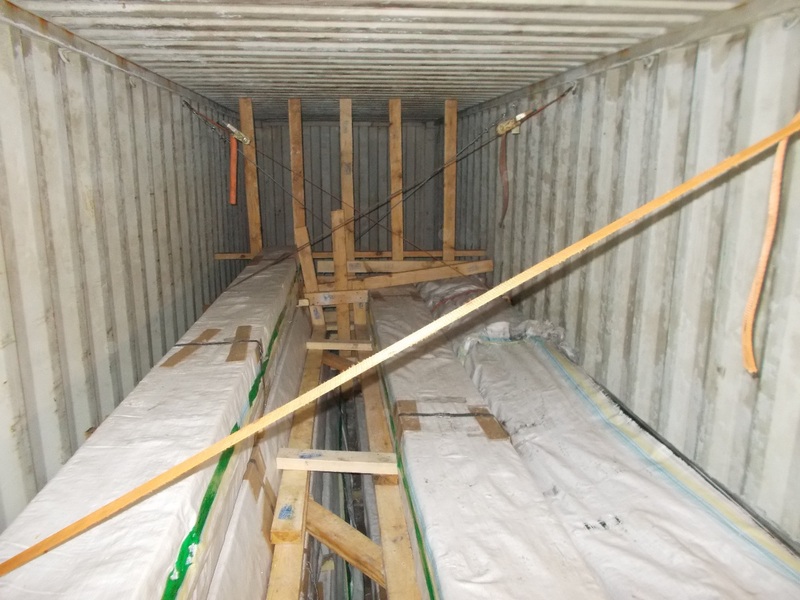 Carrying the gangplank made at least two working on the same shoulder. 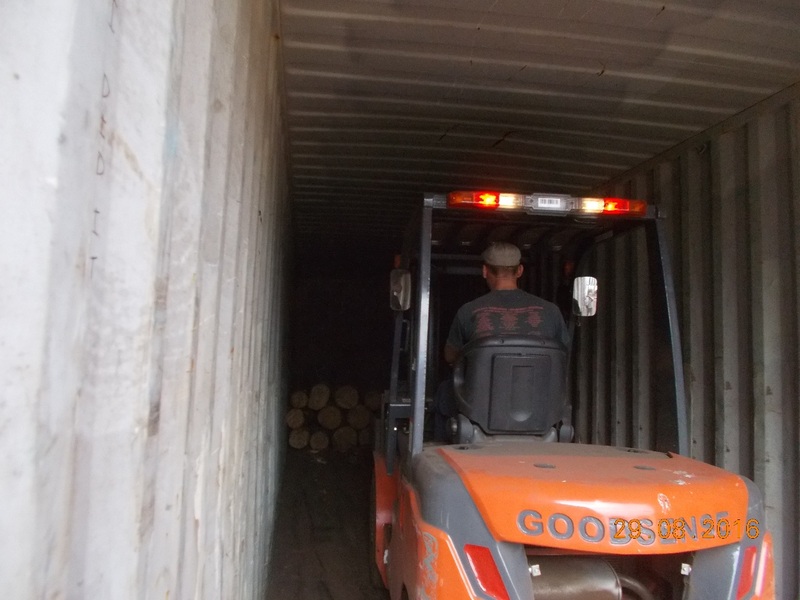 It is prohibited to ship loading lumber overlap. 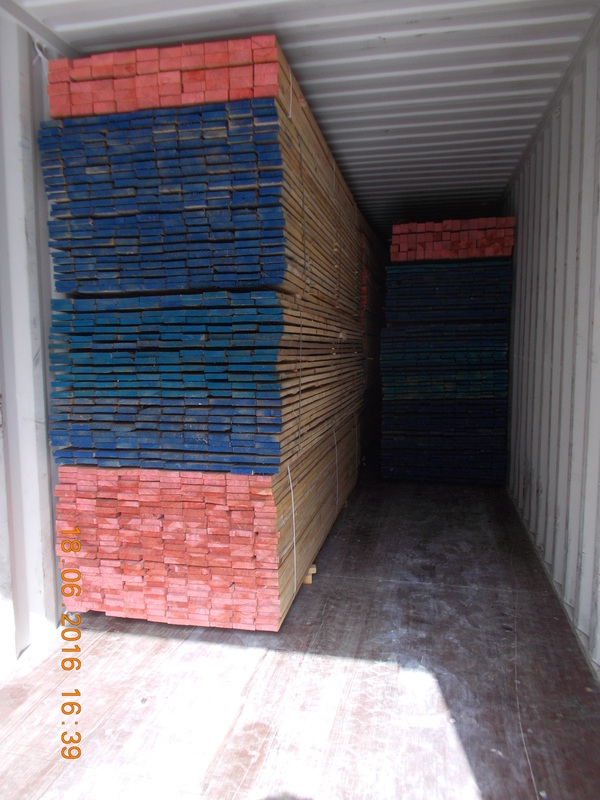 On the deck of the ship lumber stacked in two piles of athwartships. 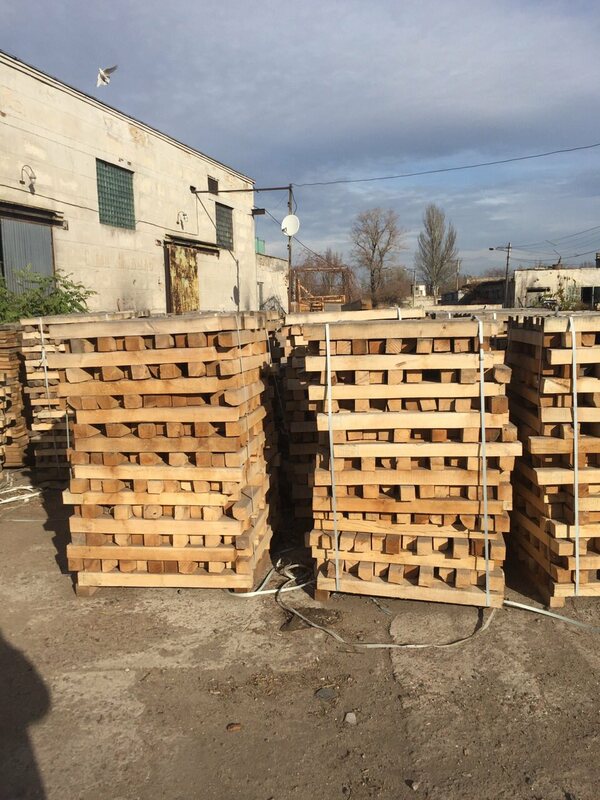 When loading lumber on the side from the pickup should be set shorter rack and stack as filling gradually replaced by higher. 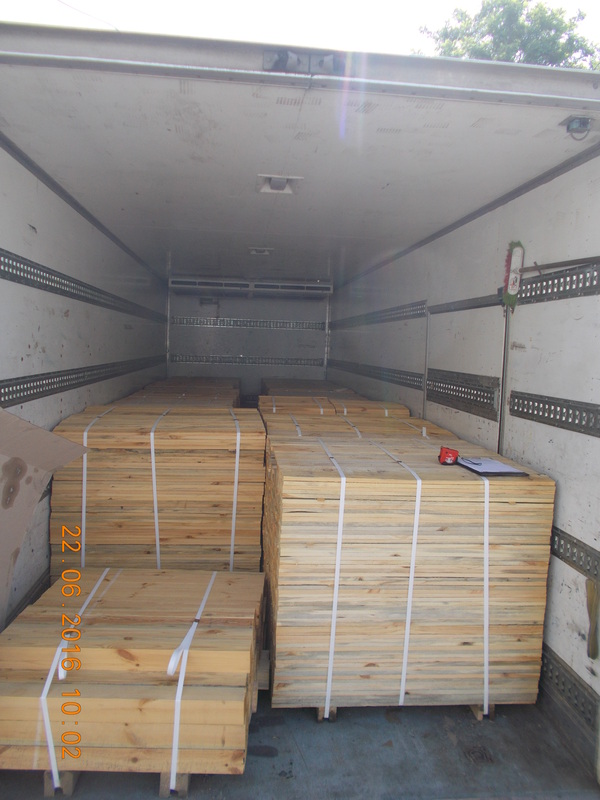 When loading lumber in open wagons should be particularly careful to check the density of packages stacked on the second tier, as well as packages trapezoidal - caps. 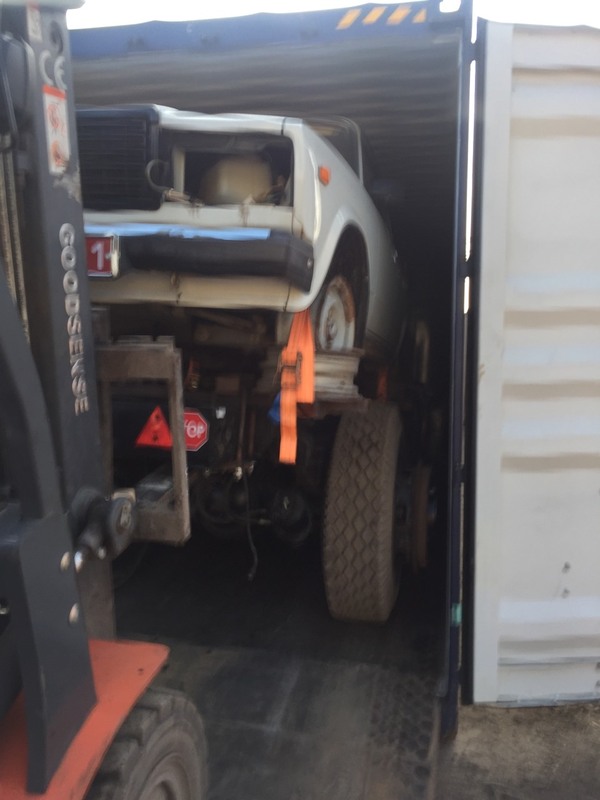 Fixing caps for slings underlying packages must be reliable. 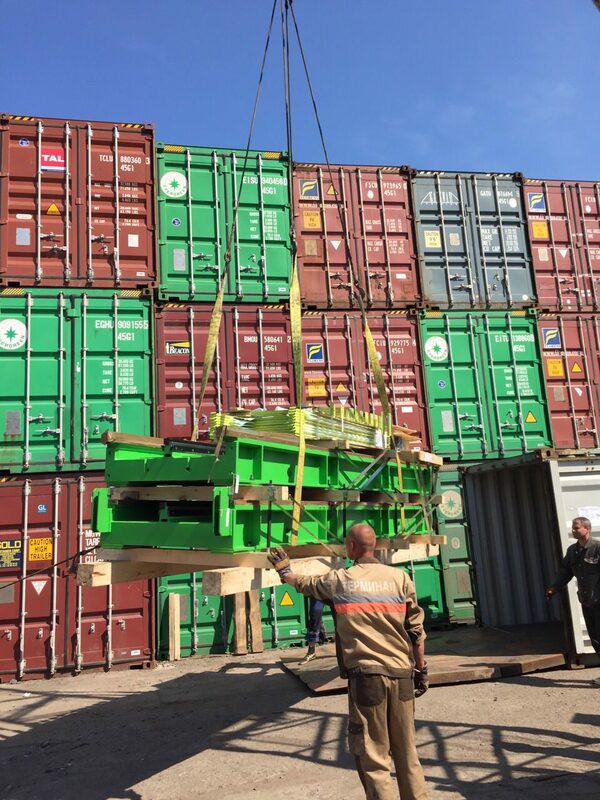 When loading lumber in packs of 3 - 4 times CNI - zhaetsya the complexity of loading, more efficient use of storage space evenly loaded during the shift workers at loading. 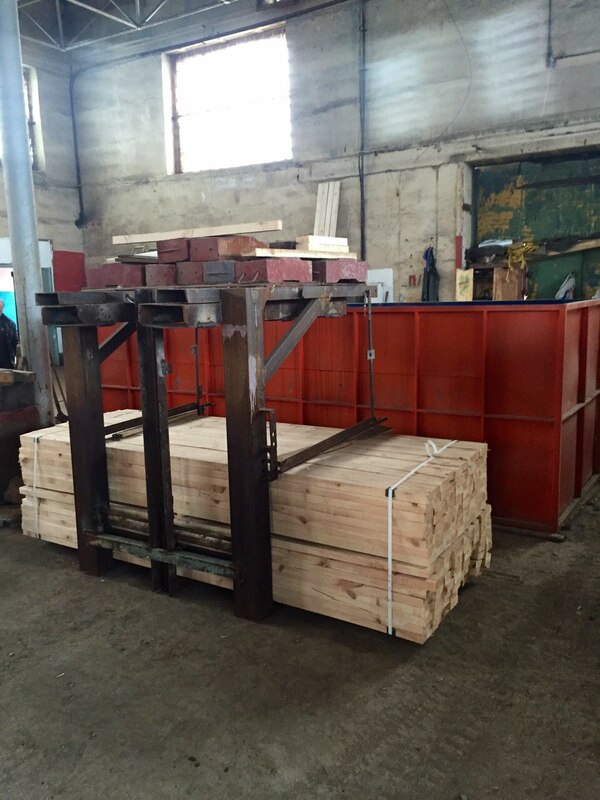 Protection from the Doge timber stacks - Stacks FROM SSHYH PILOMZ. 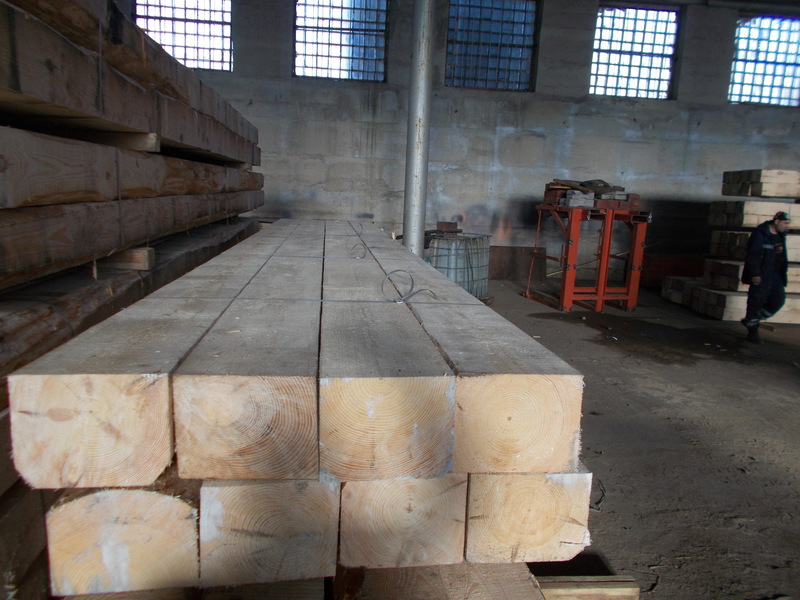 Protection from the Doge timber stacks - Stacks FROM SSHYH PILOMZ. 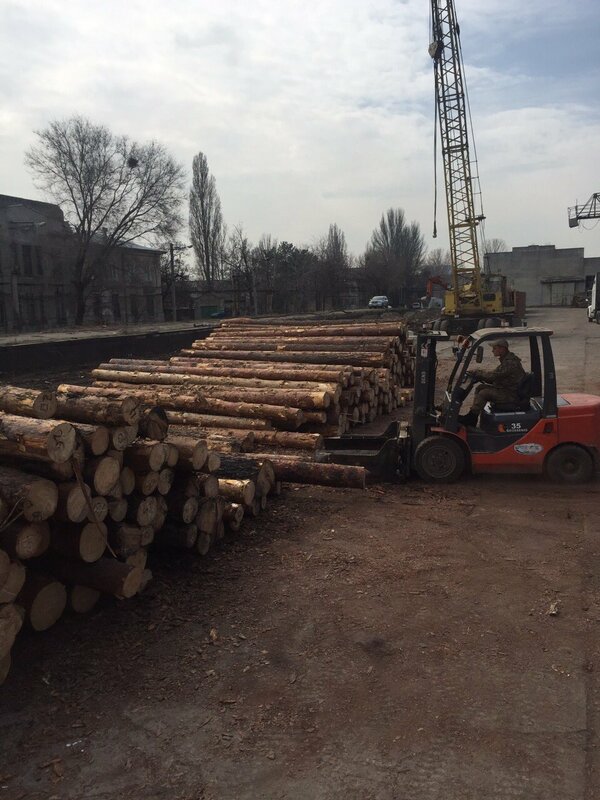 Stacking and loading lumber to cars conveniently produce forklifts with lateral forklift. 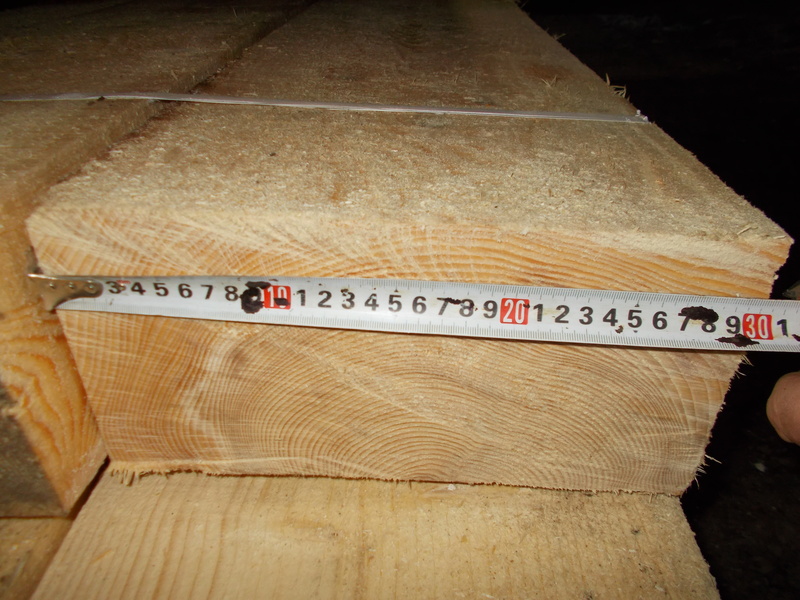 This timber should be stacked in bags on horizontal lining, allowing them to fail under the forks. 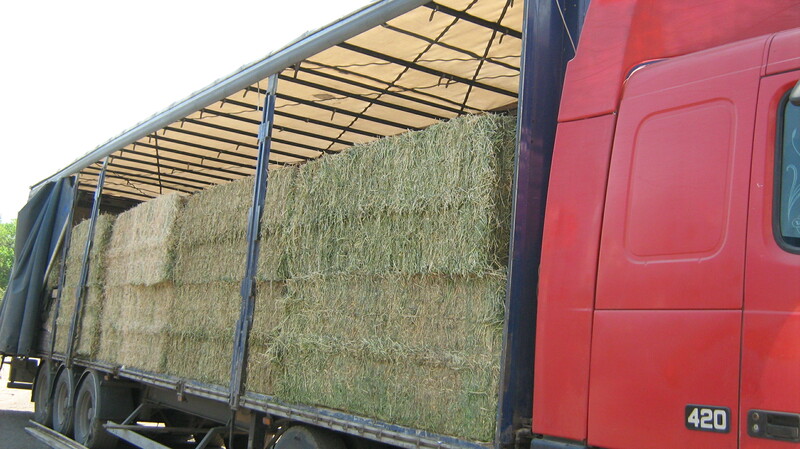 Packets are formed taking into account the truck duty. 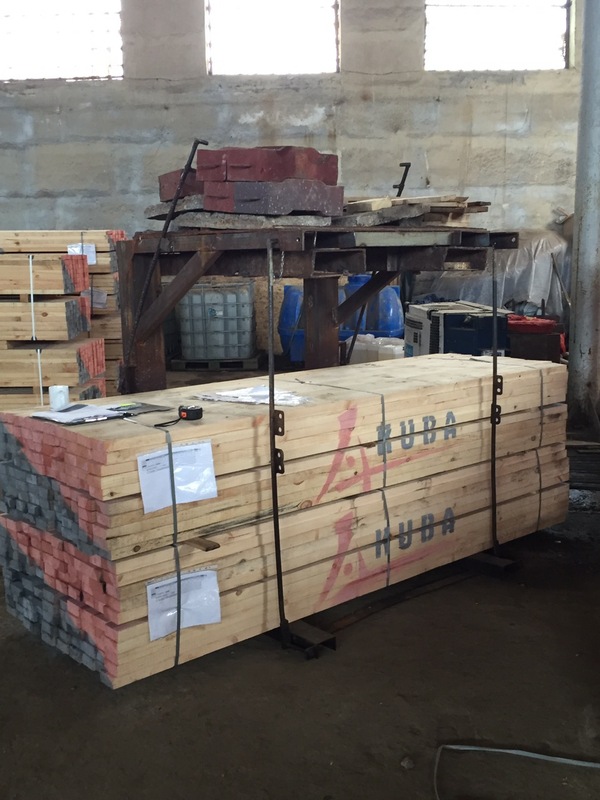 In warehouses timber with a large turnover used gantry cranes and jib cranes rail. 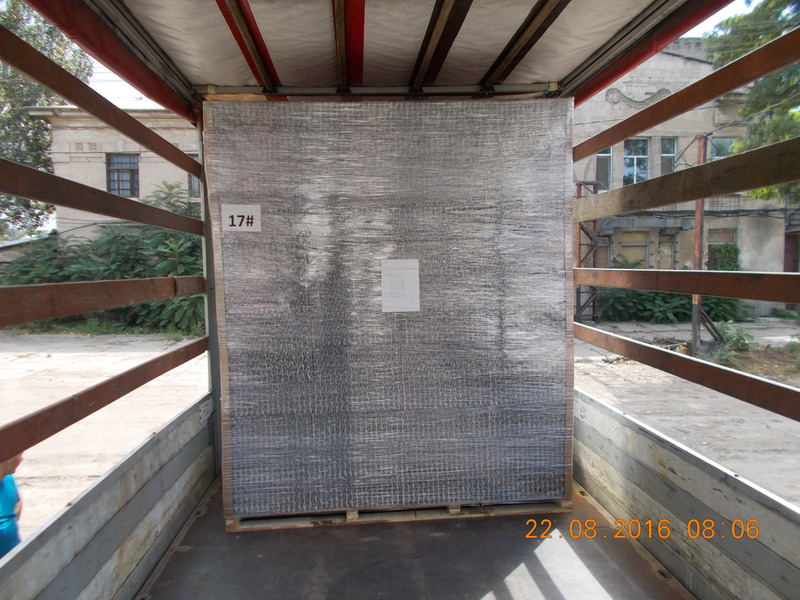 Furthermore, with this method eliminates the need for loading of lumber in equipment racks gondola, ties, seals between packages. 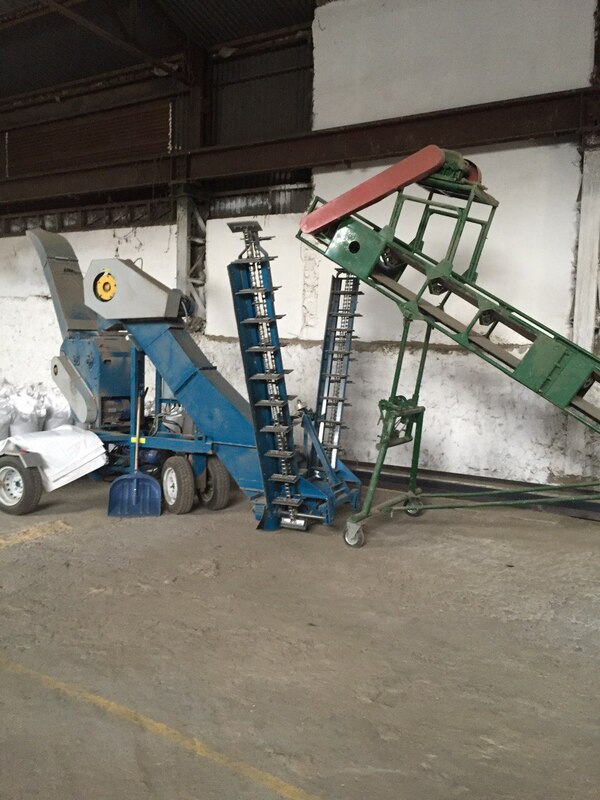 The scheme of complex mechanization of operations on the stock of raw material. 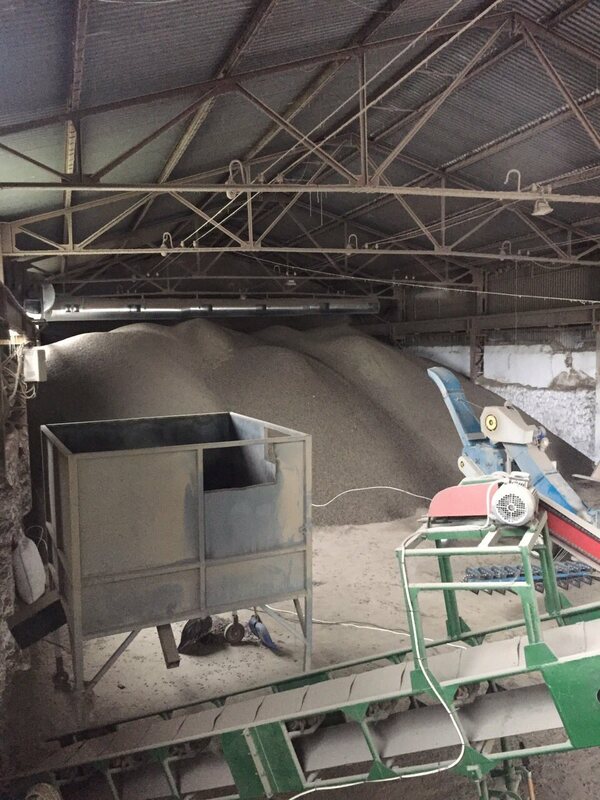 The scheme of complex mechanization of operations on the stock of raw material. 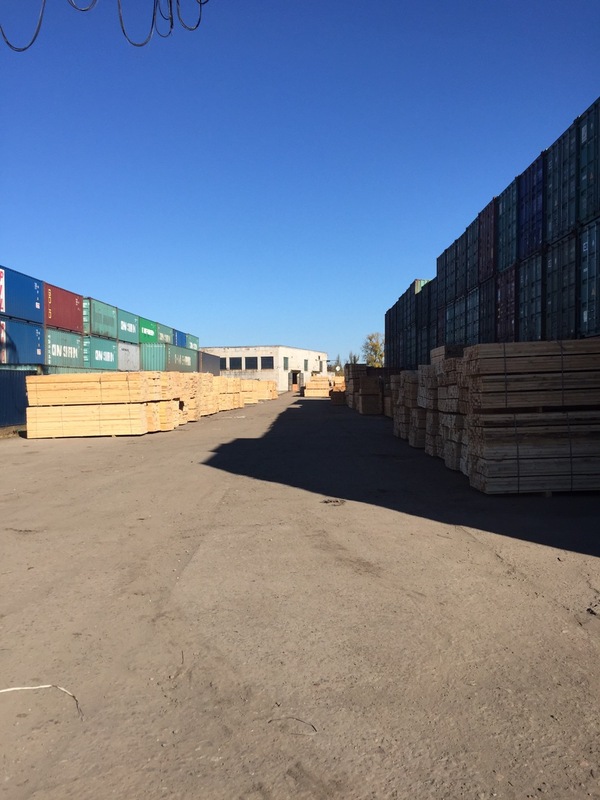 The main lifting and transport to lumber warehouse operations include: transport of lumber to the warehouse, stacking lumber in piles, loading lumber onto railway trucks for delivery to customers, transporting lumber to the drying department. 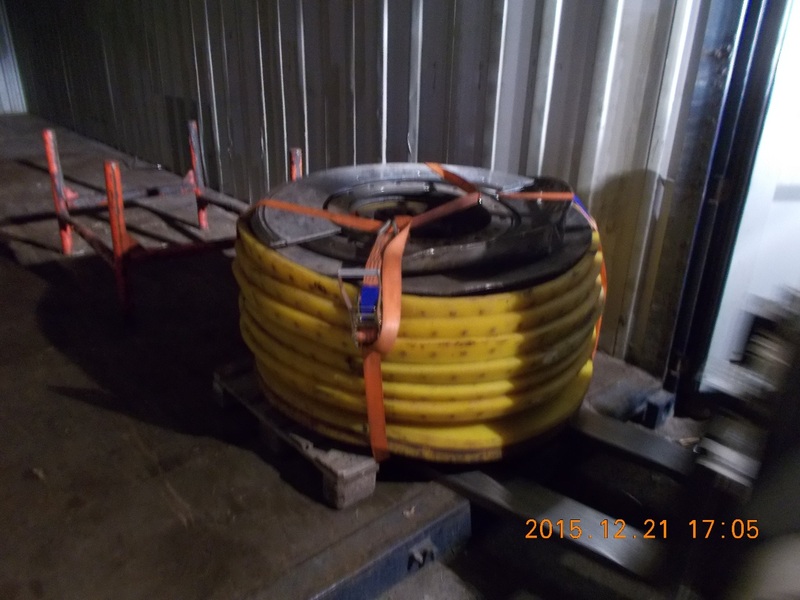 Placing and securing a package on the platform. 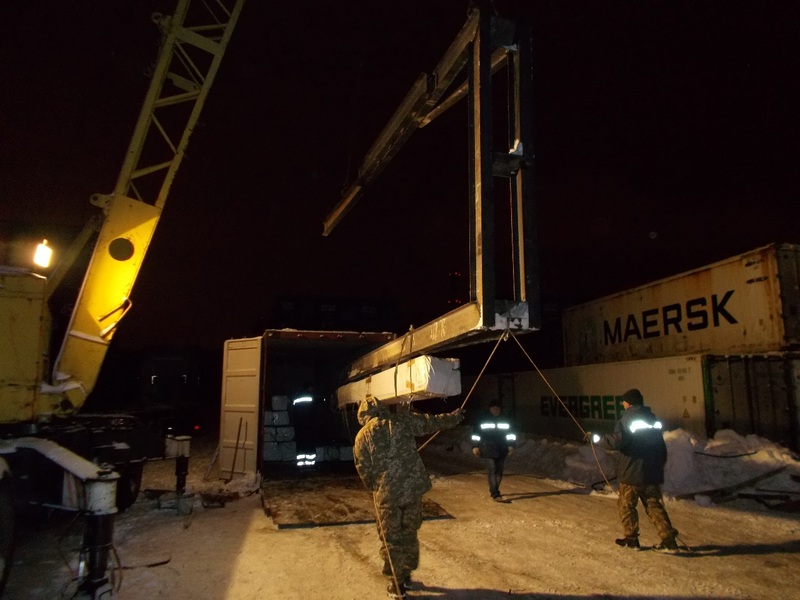 Placing and securing a package on the platform. 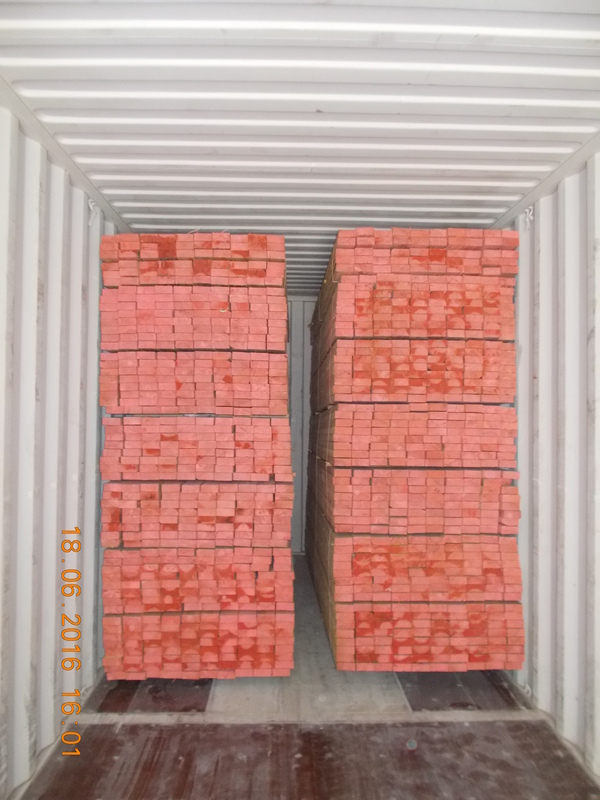 Wood, except debarked and impregnated or coated for a long time does not dry substances, may be transported in open wagons with open doors with face. 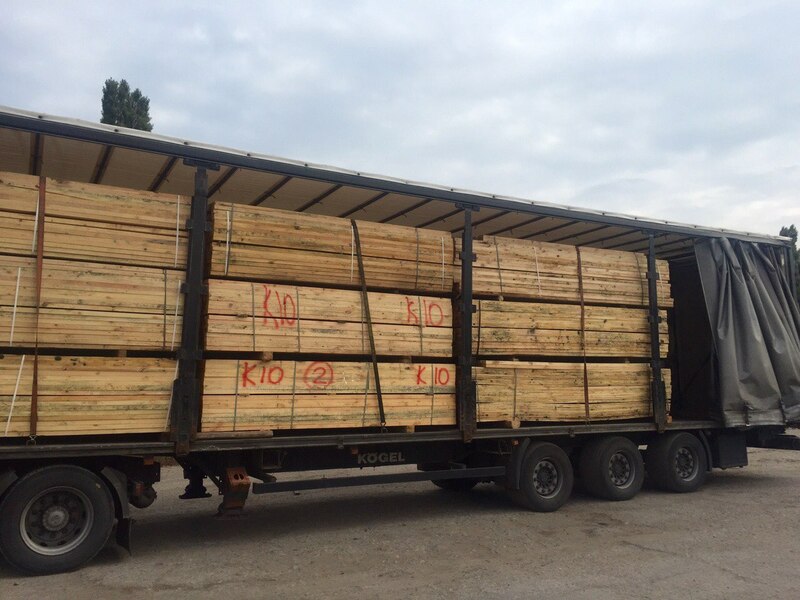 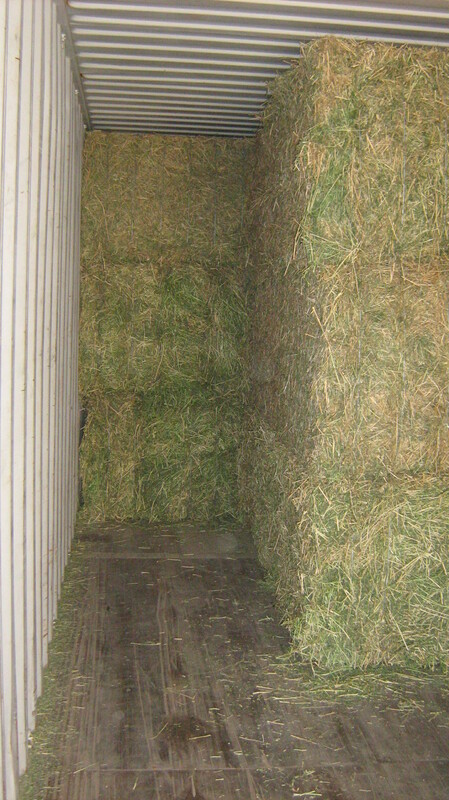 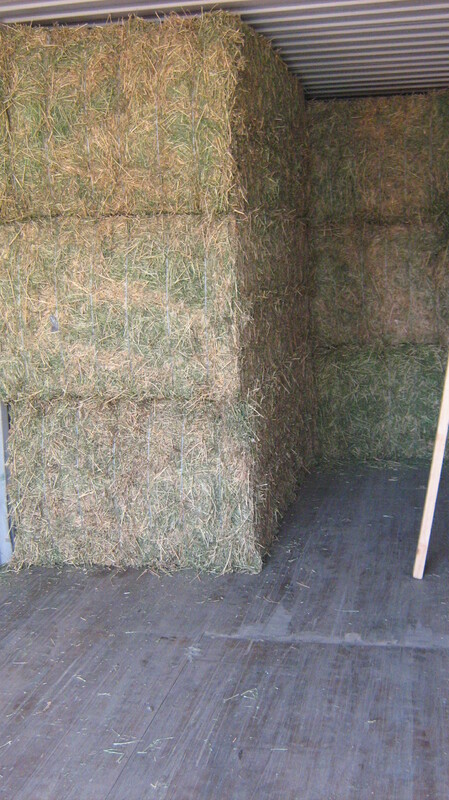 The length of the outer package must be at least 3 m for loading logs, and 1 to 5 m in loading lumber, and the width is the width of the doorway. 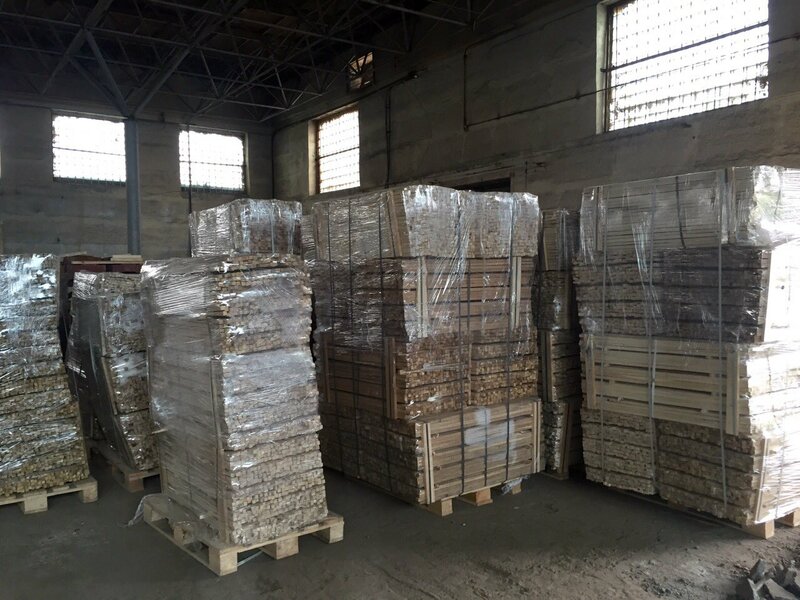 Pads and linings are manufactured from board or other non-circular cross-section material (e.g. 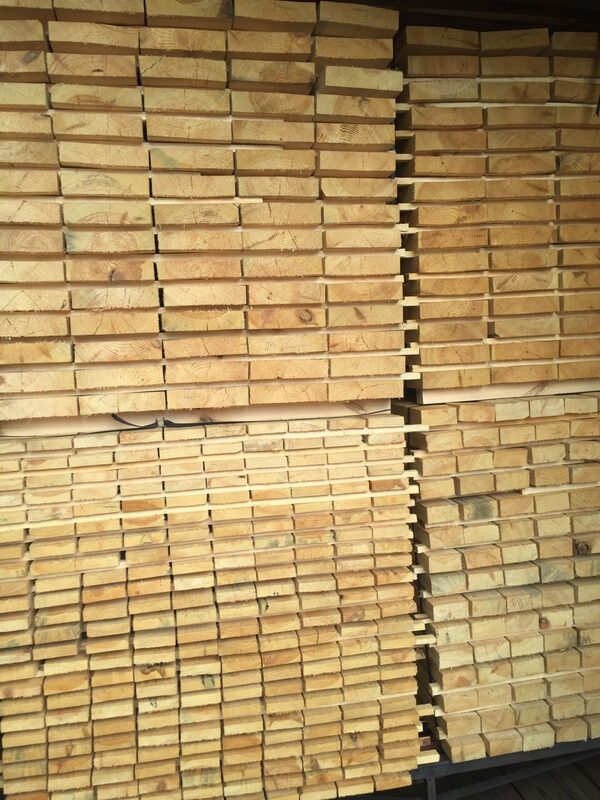 slabs) 50 mm, width 150 - 200 mm and a length equal to the width of the stack. 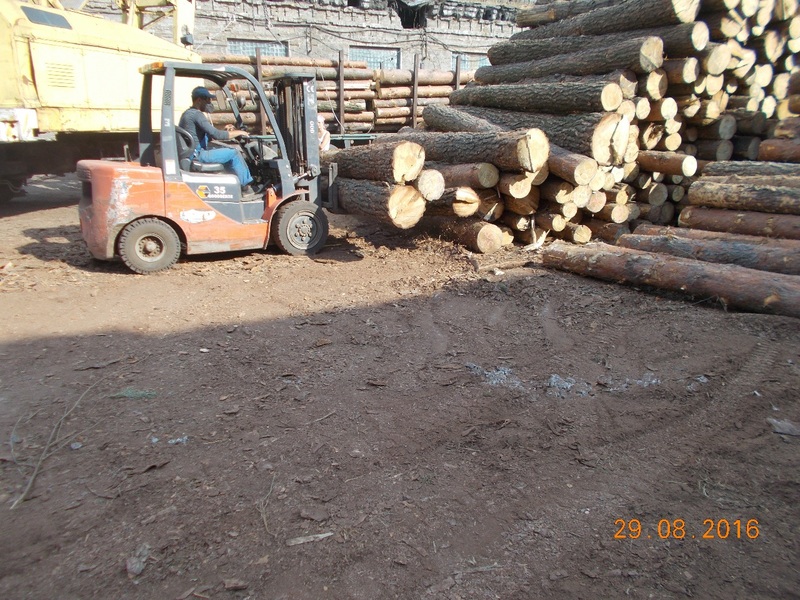 Under each stack of logs at a distance of 0 5 - 0 to 8 m from the end of its two cross-laid backing. 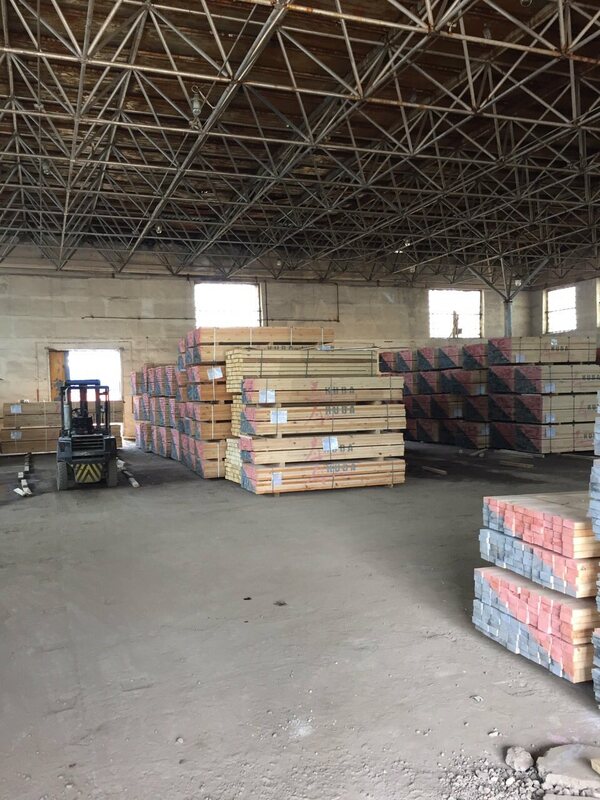 When loading lumber under the middle of the stack a third pad. 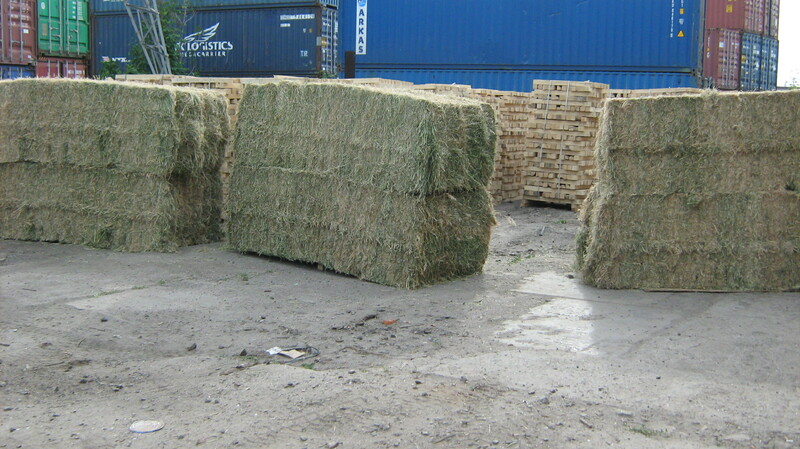 Over the pads between adjacent bundles stacked pads. 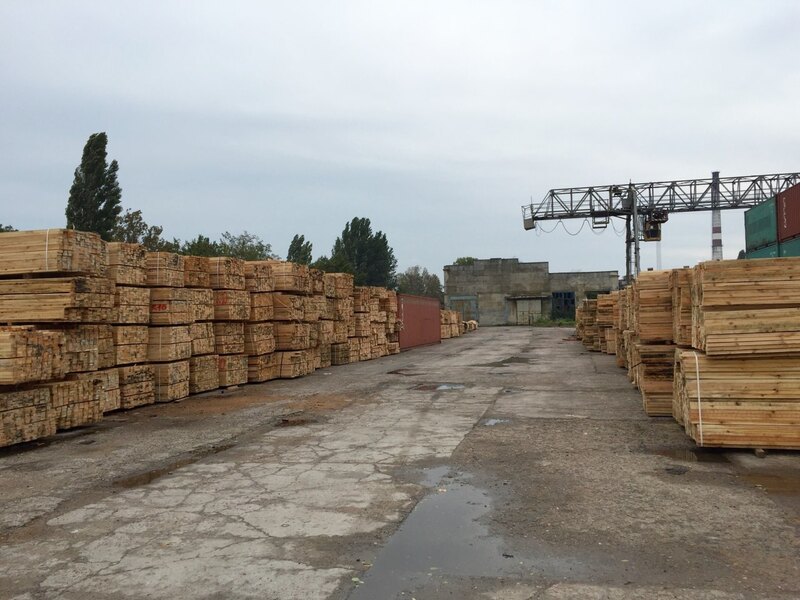 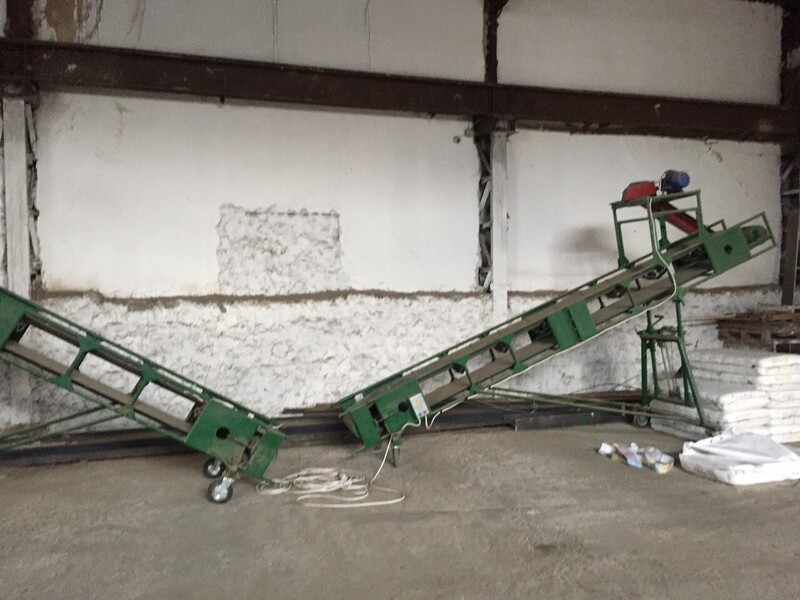 When loading the timber division of the stack into three packs, and more at the top pack of stacked pads only from boards or slabs protesannogo. 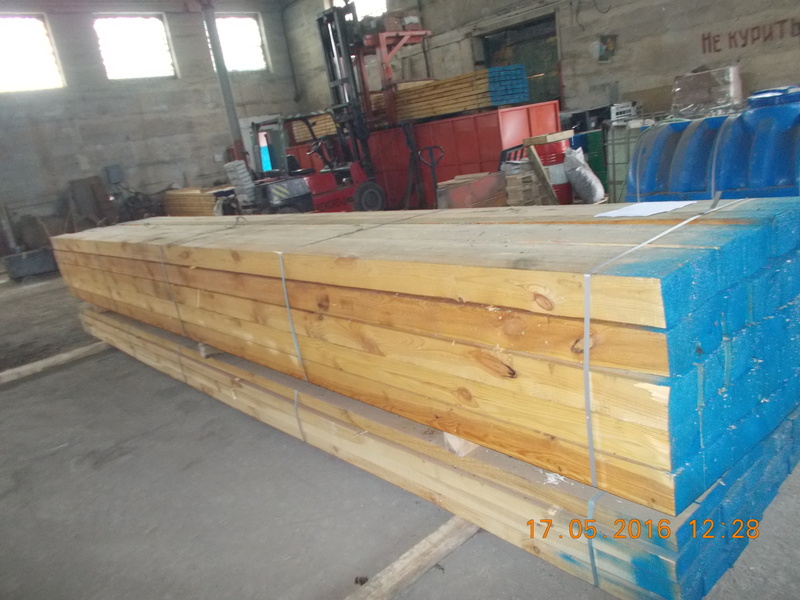 The elongated spacers used when loading timber in the upper part of the neck loading gauge should have a cross section of at least 75 X 150 mm and length 3000 - 3100 mm. 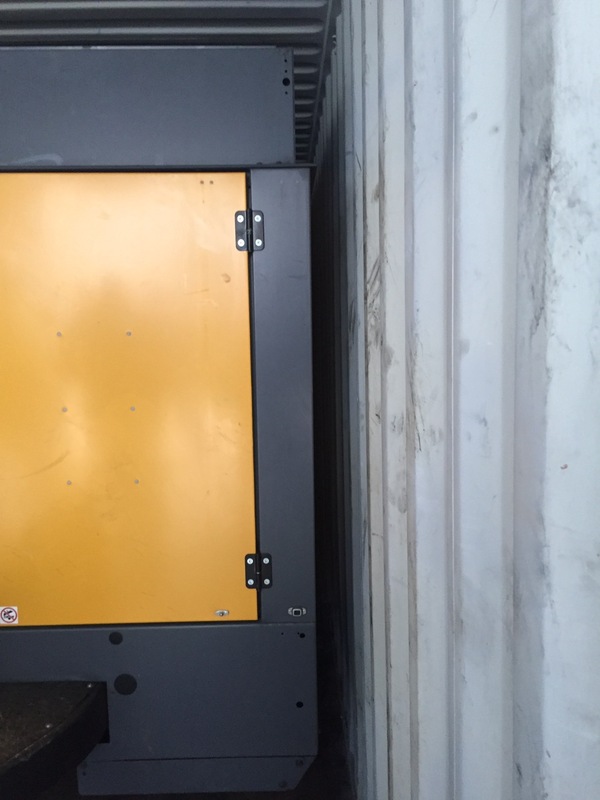 Rack mounted so that they are spaced from the end of the stack is not less than 250 mm. 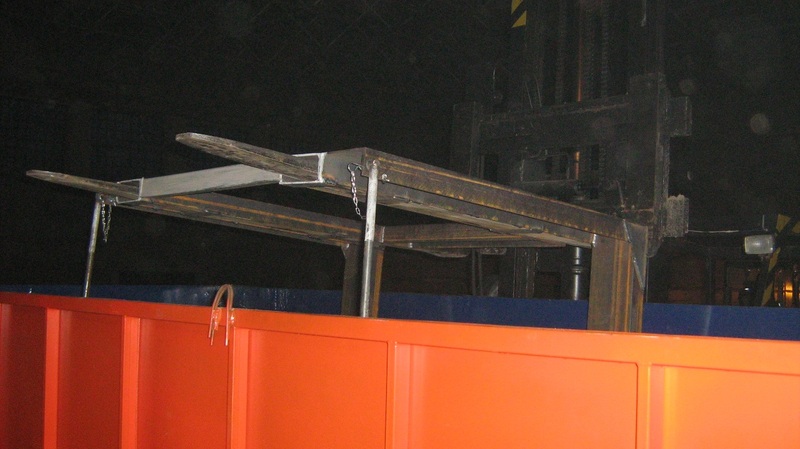 The gondola link the wire rack with a diameter of 6 mm in the two strands of the two adjacent upper and lower brackets forest. 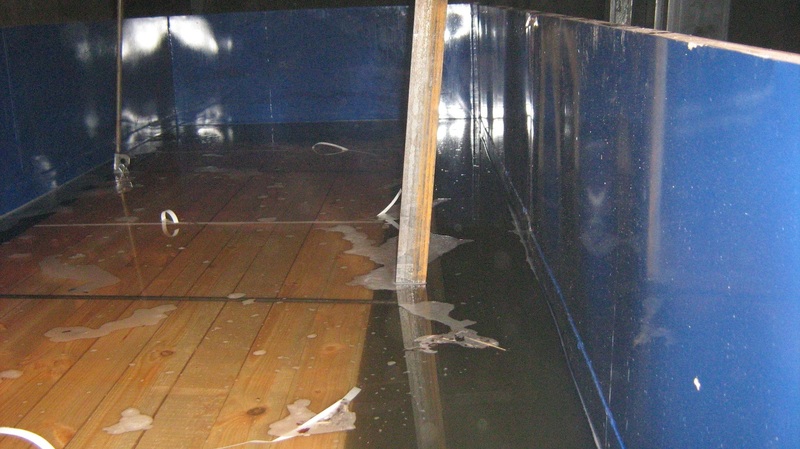 The last couple of racks from the open doors of end gondola car during loading of long timber installed in the gaps between the ends of the flaps open door and faces the corner posts of the body and gondola link the two places for the batches of door hinges. 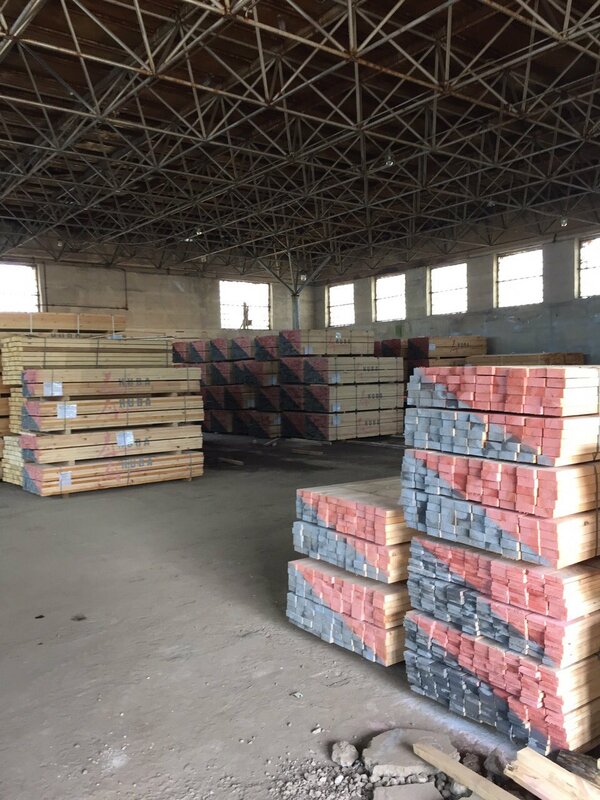 When loading the timber used lining and lining of planks or other material non-circular (eg, slab), thickness of 50 and a width of 150 - 200 mm. 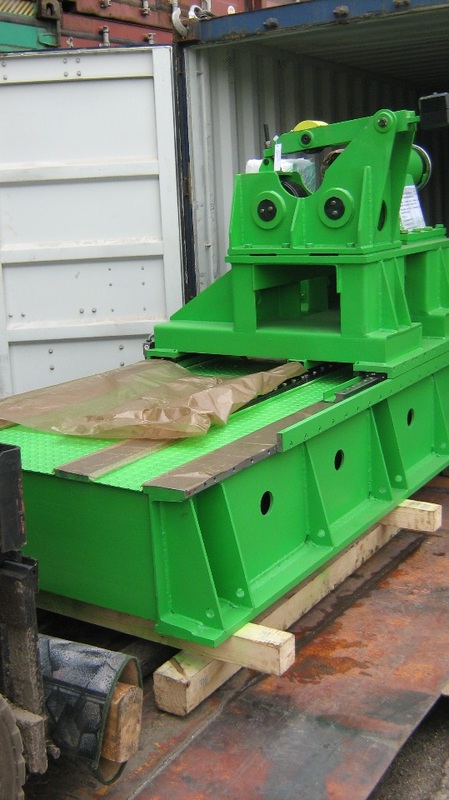 linings length should be equal to the internal width of the platform or gondola, and spacers length - the width of the stack. 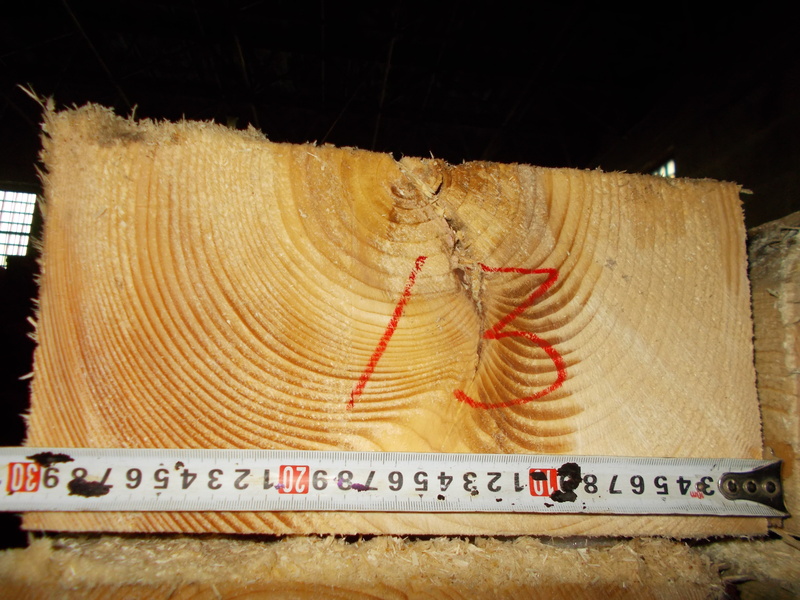 Under each stack of logs at a distance of 0 5 - 0 to 8 m from the end of its two cross-laid backing. 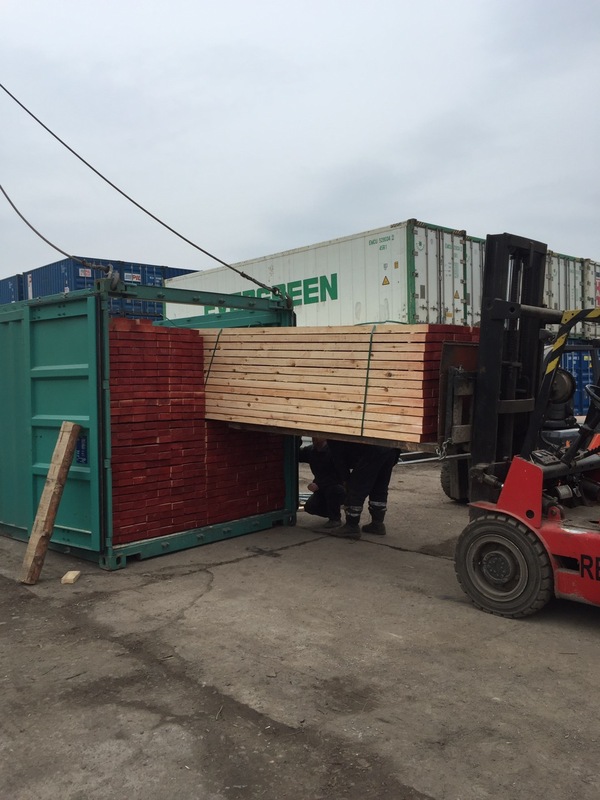 When loading lumber under the middle of the stack placed third liner between adjacent bundles of stacked pads. 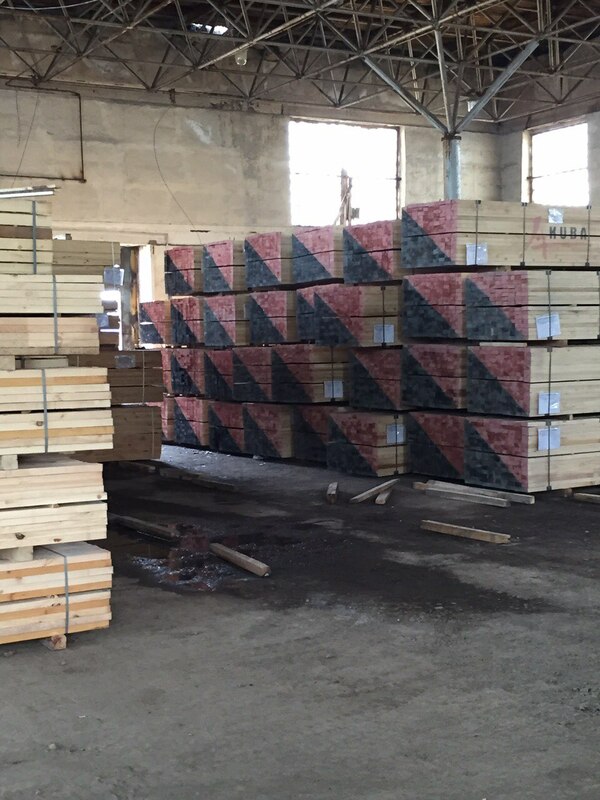 When loading the timber division of the stack into three packs, and more at the top pack must fit the gasket only from boards or slabs protesannogo. 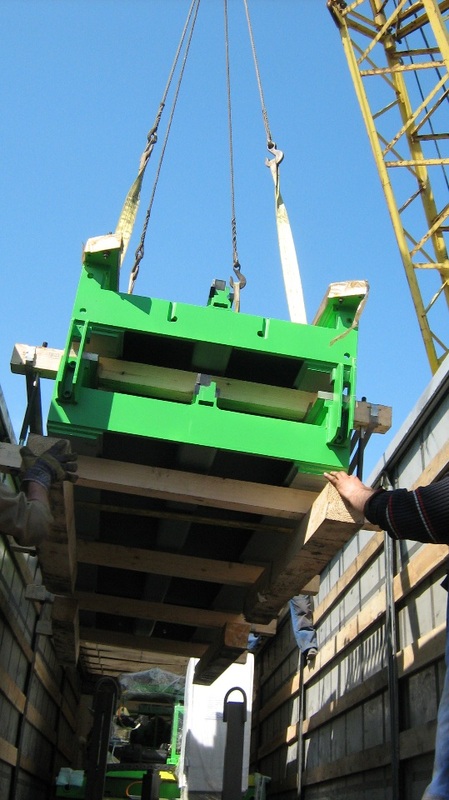 When lifting pipes, timber and other long loads must use braces.